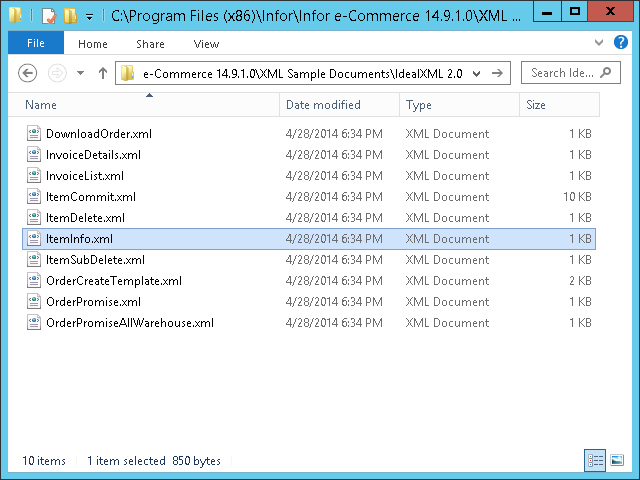 I have a question regarding Infor e-Commerce (f.k.a. 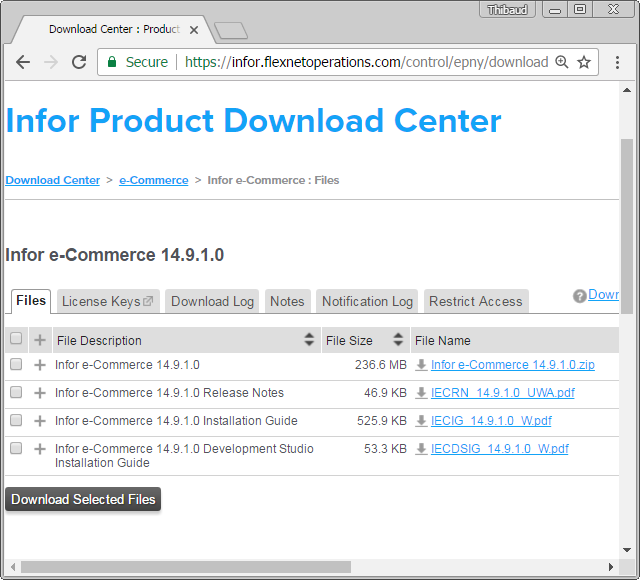 e-Sales): have you ever used the Infor Application Installer (IAI) to deploy e-Commerce applications via ZIP files instead of via the Development Studio? We have two different environments, development and production, that are physically isolated. 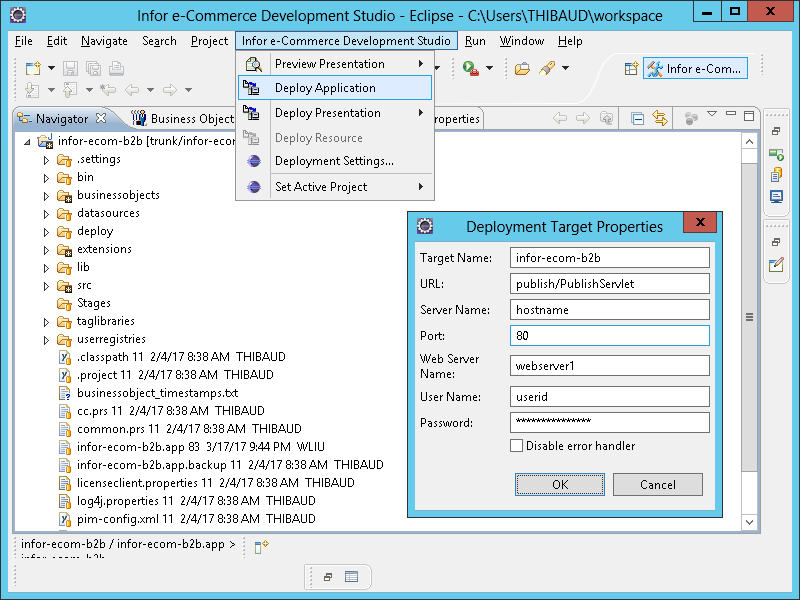 Our development environment is integrated: it has the e-Commerce Development Studio, the Subversion repository, and the e-Commerce Server, all on the same host. 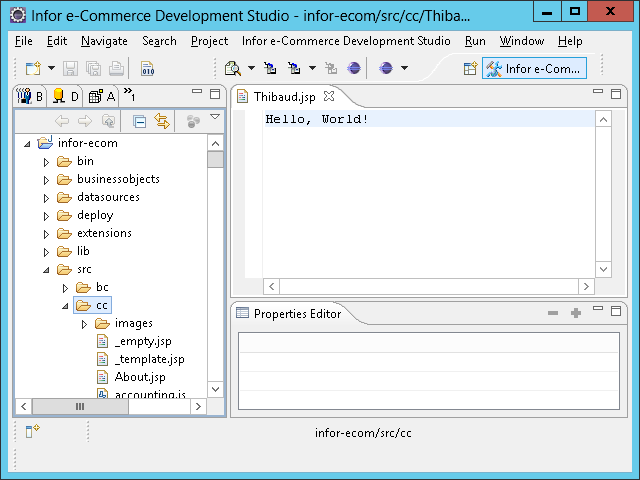 Thus, we can simply deploy the e-Commerce application from the Studio directly to the server. 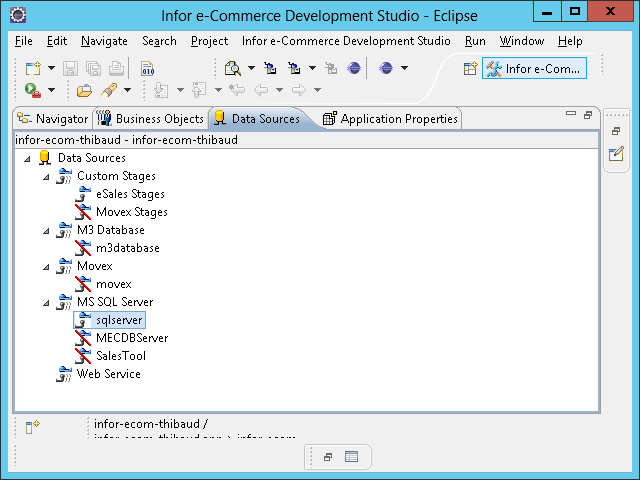 Our production environment, on the other hand, is isolated from that network: it has the e-Commerce server, but it does not have the e-Commerce Development Studio, and it does not have access to the Subversion repository either. 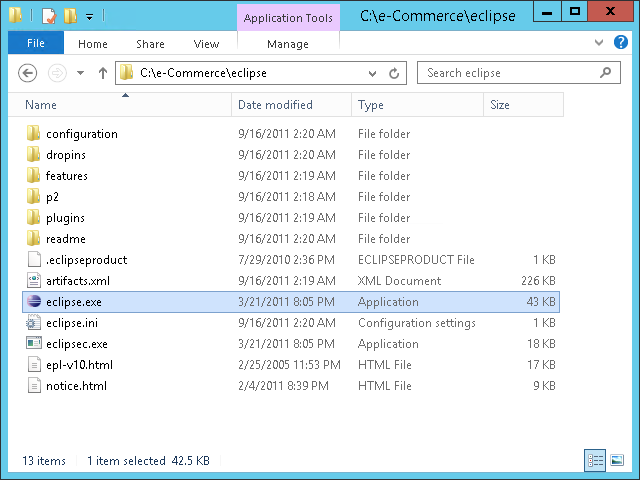 Then, how do we deploy the e-Commerce application? 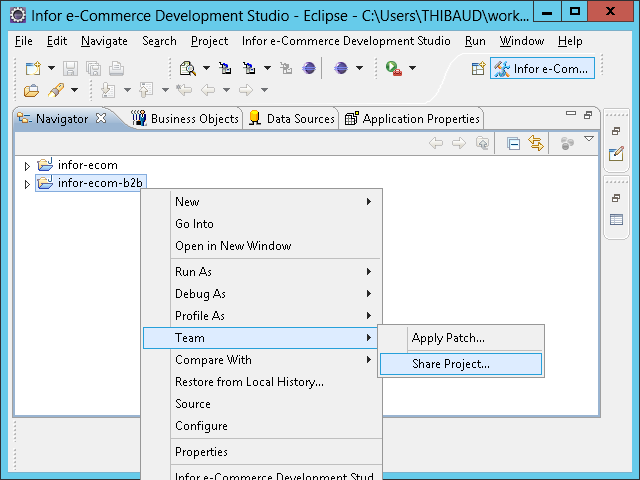 We cannot deploy from the Studio because the development environment does not have access to the production network, the two are isolated from each other. 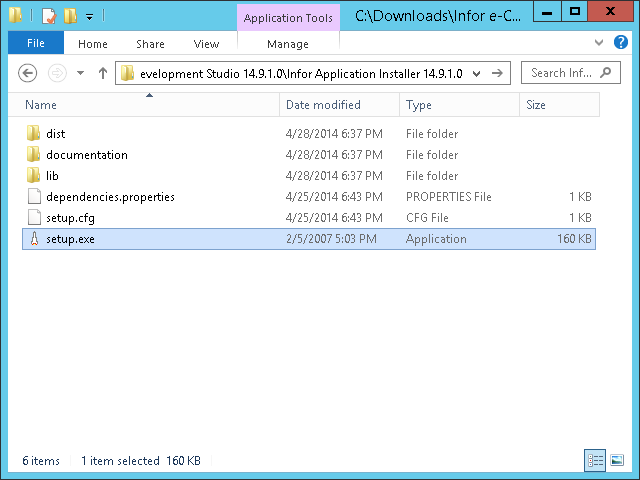 One solution is to install the Studio on the production environment and give it access to the Subversion repository, to mimic the development environment. 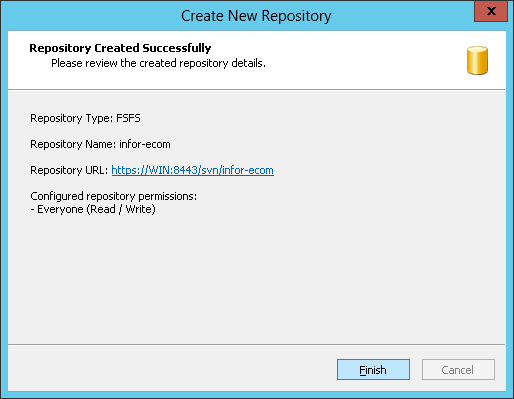 But because the production environment is isolated, it does not have access to the Subversion repository, so we would have to make a copy of the source code. I challenge this solution. 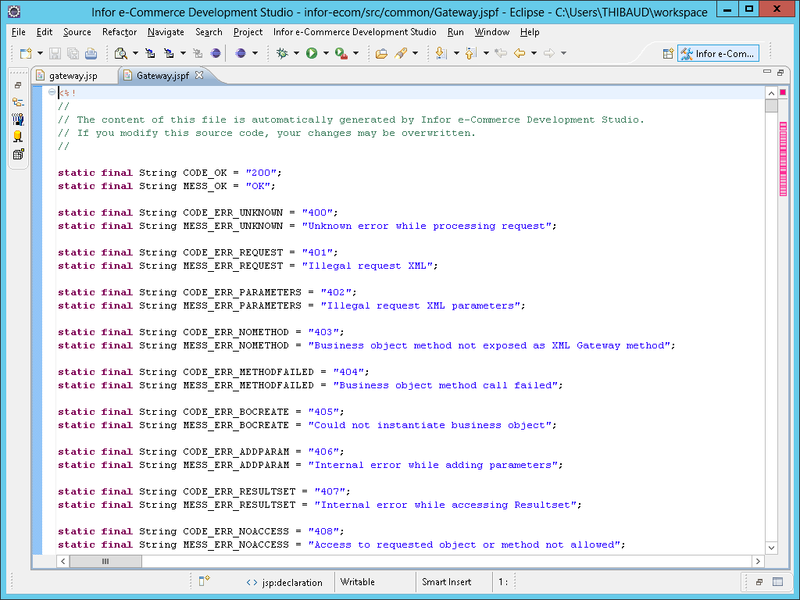 Indeed, we would end up with double maintenance of the Studio and of the source code. 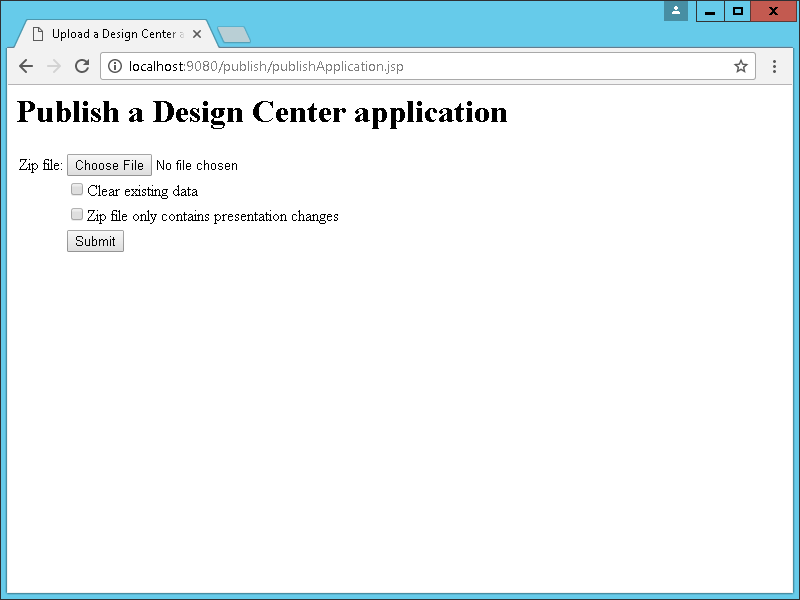 We would risk generating a non-identical version of the application. And we would risk creating an accidental branch of the source code then have to resolve and merge. There ought to be a simpler and more elegant solution. 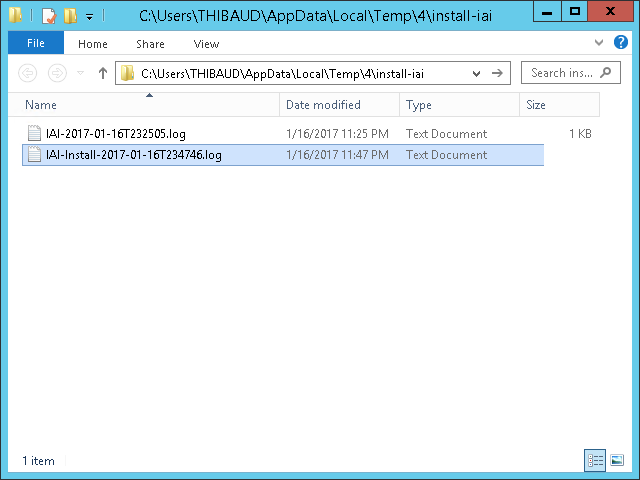 The solution I propose is to use the Infor Application Installer (IAI) to deploy a modified version of the temporary ZIP file. 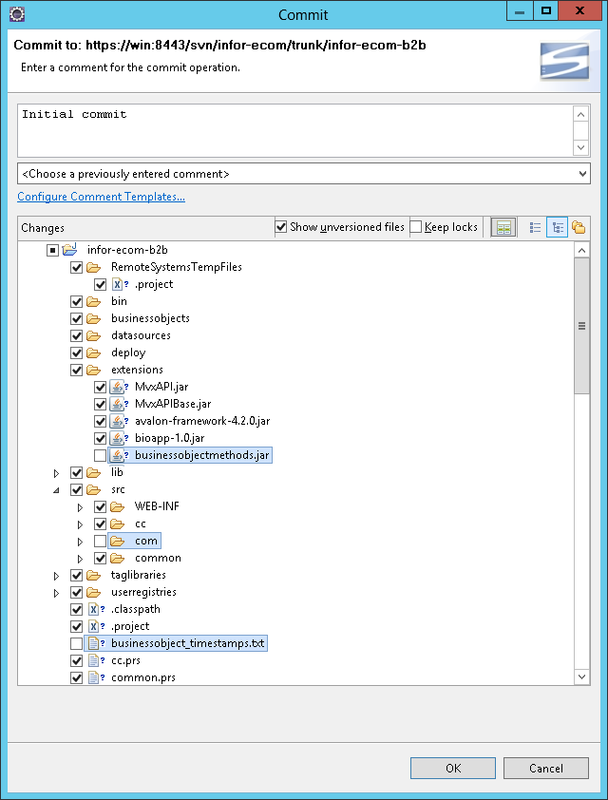 We would take the temporary ZIP file from the development environment, make a copy of it, unzip it, change the datasources connection information, re-zip it all, copy the resulting ZIP file to the production environment, and use the publish JSP to deploy it. 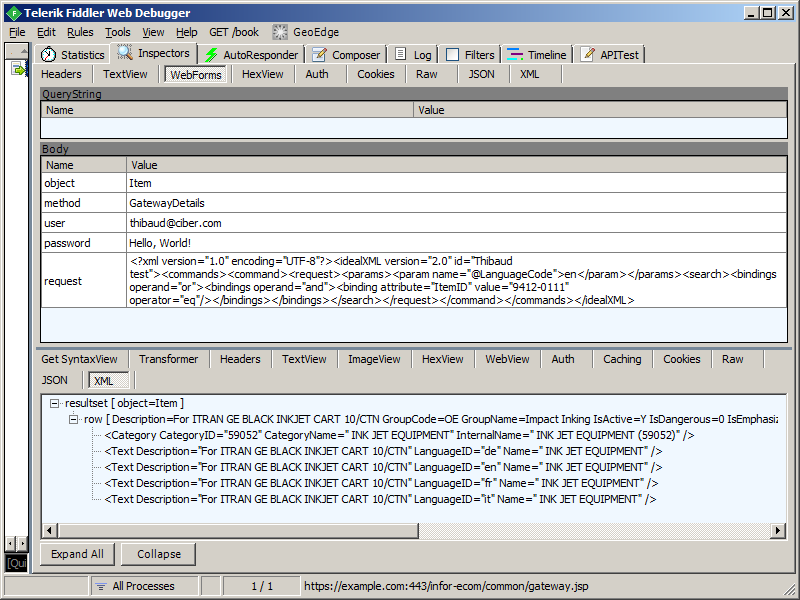 We can even write a script to automatically duplicate the file, unzip it, change the connection information, and re-zip it, to reduce the number of manual steps and to avoid possible human errors. 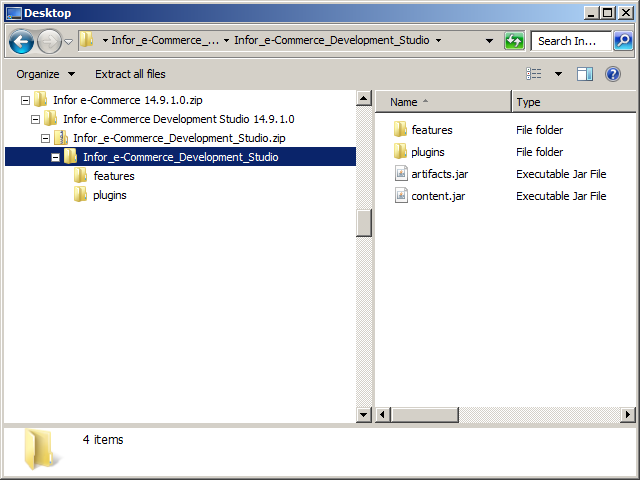 I postulate this new solution is much simpler than the other one as we would just manipulate ZIP files, and we would not need to double maintain another Studio or another source code. And it is elegant because it is part of e-Commerce. I asked others for opinion. The experienced e-Commerce consultant disagrees. 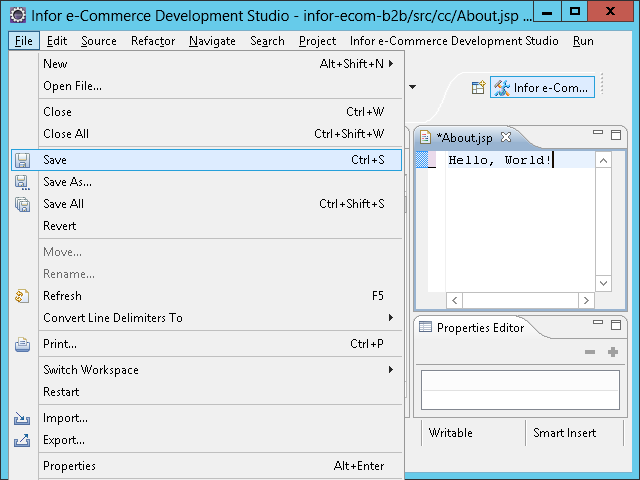 He says that all e-Commerce applications MUST be deployed from the Studio in order to make sure they are working properly, that it is the right way, that everyone uses this method, that there is no other method, and that Infor would not support another method. 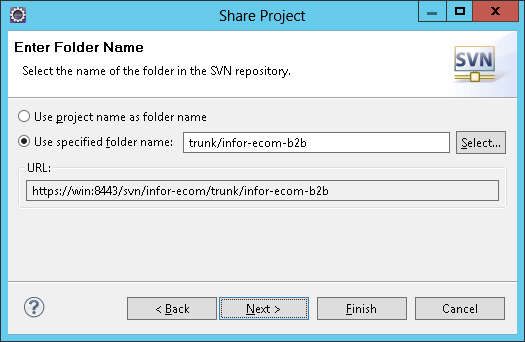 Similarly, Infor Support reached out to the development team who reached out to the e-Commerce product owner who said the ZIP file deployment can be done for DEVELOPMENT purposes only but it is NOT RECOMMENDED, that it can be explored at your own risk, and that support would NOT be provided if further issues or concerns occur. I do not believe either of these responses. 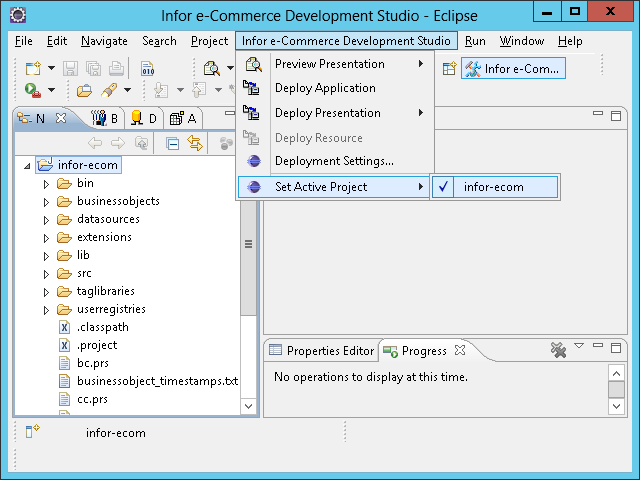 e-Commerce is about 15 years old, and most of the original developers are no longer part of the company. I believe the responses above are from new developers that lack knowledge, and are not willing to try another way. Or perhaps there is a valid reason that they have not yet articulated. What about YOU? Do YOU know the answer? Let me know in the comments below, please. Thank you. 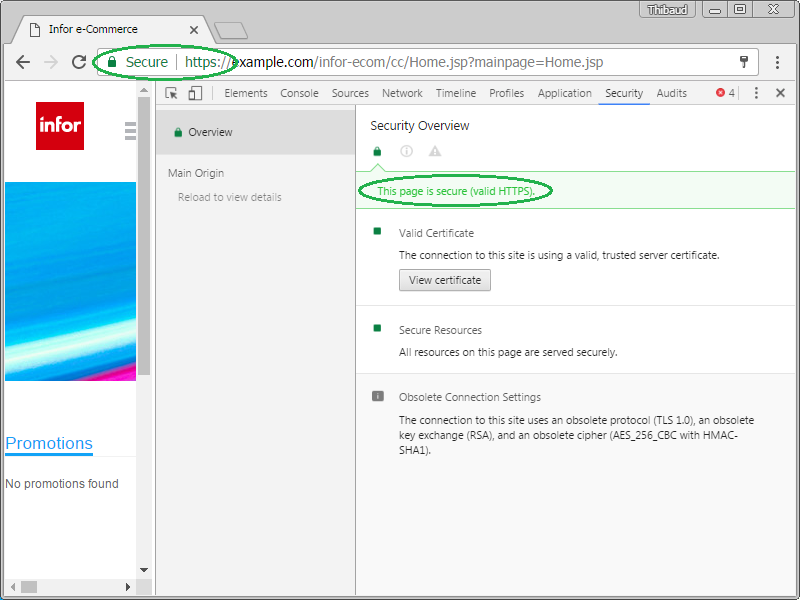 Today I setup SSL/TLS for Infor e-Commerce using Let’s Encrypt, the new free, automated, and open Certificate Authority (CA). 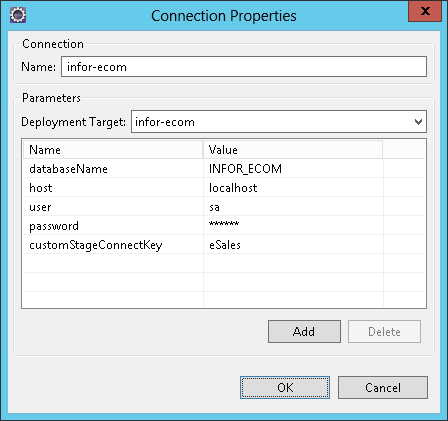 Infor e-Commerce (f.k.a. 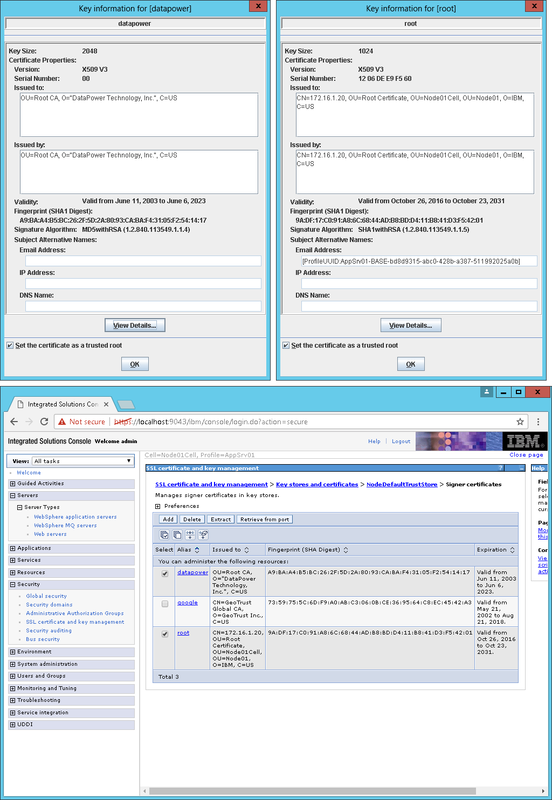 Movex e-Sales) is a J2EE application running on IBM HTTP Server (IHS) and IBM WebSphere Application Server (WAS), where IHS is on the DMZ and has a certificate on port 443, and where WAS is on the local network and has a certificate on port 9043. That’s two certificates. 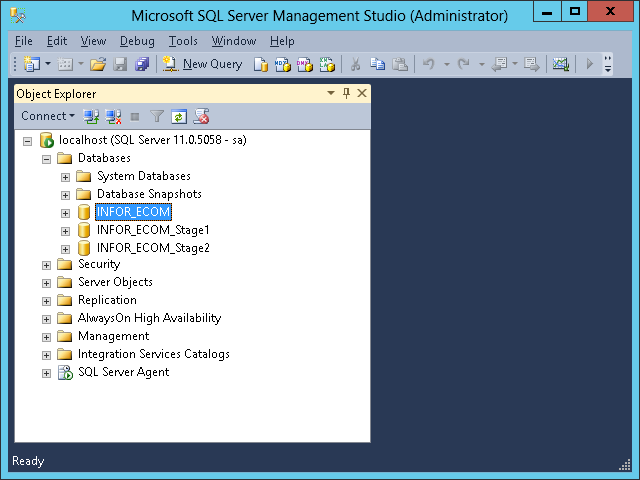 Let’s verify the key database. 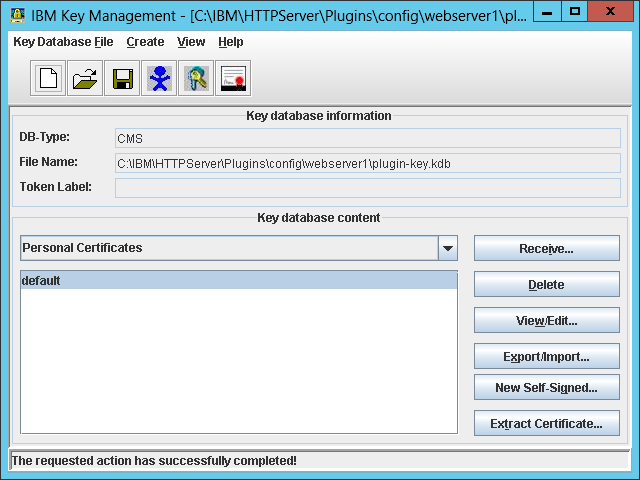 The public/private keys, certificate signing requests (CSR), intermediate certificates, and signed certificates are managed in the IBM key database file format (KDB). 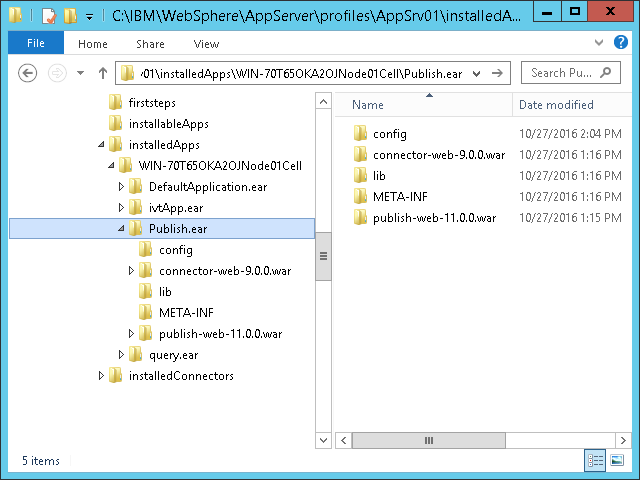 Apparently, that format does not allow importing private keys that are created externally (e.g. 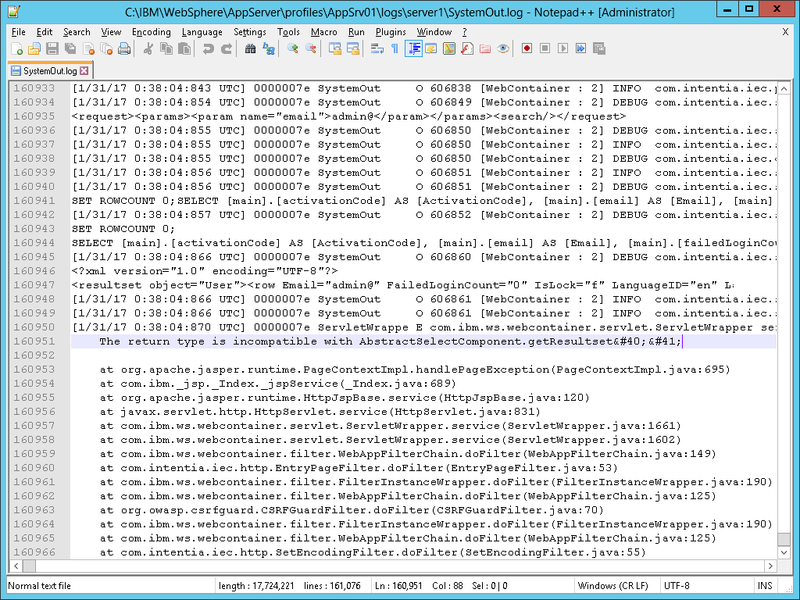 with OpenSSL or EFF’s Certbot), so we must create them internally using either the IBM Key Management tool (iKeyman), the WAS admin console, or the gsk7cmd command. 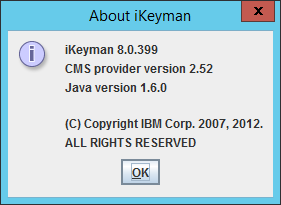 I will use iKeyman. The default password is WebAS. You can recover a lost password by calculating the stash (plugin-key.sth) XOR 245, or you can create a new key database from scratch. 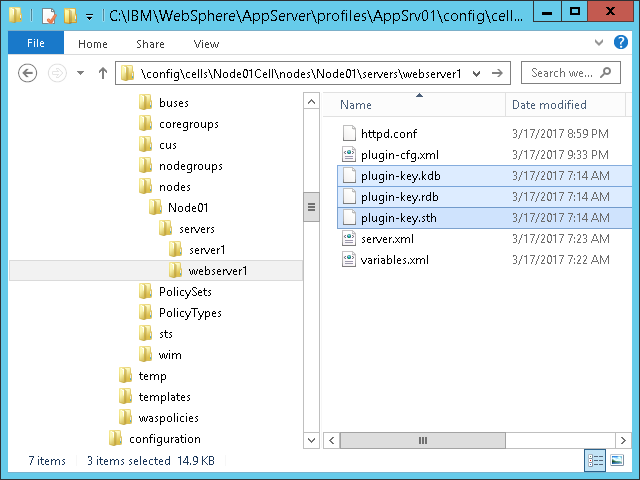 Let’s generate a public/private key pair and CSR. 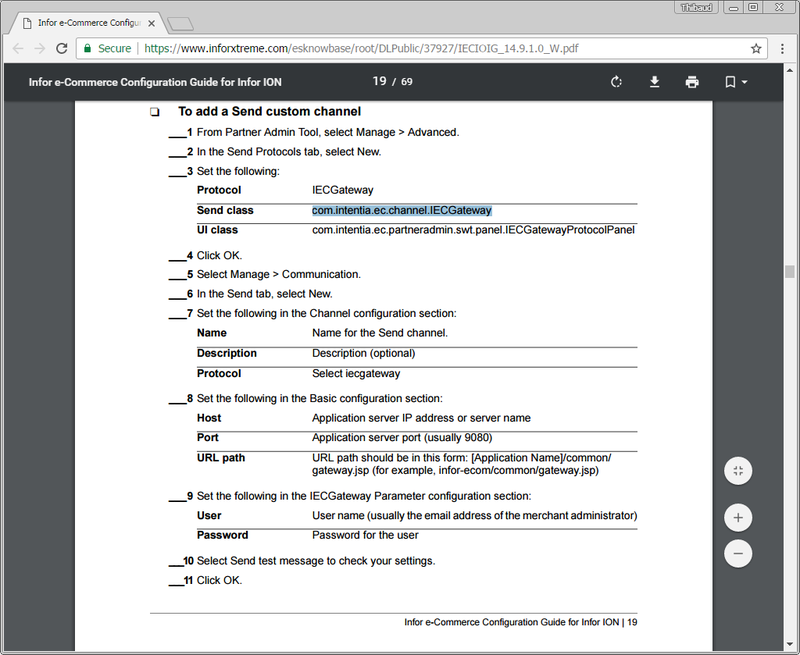 Let’s submit the CSR to Let’s Encrypt and get a signed certificate in return. 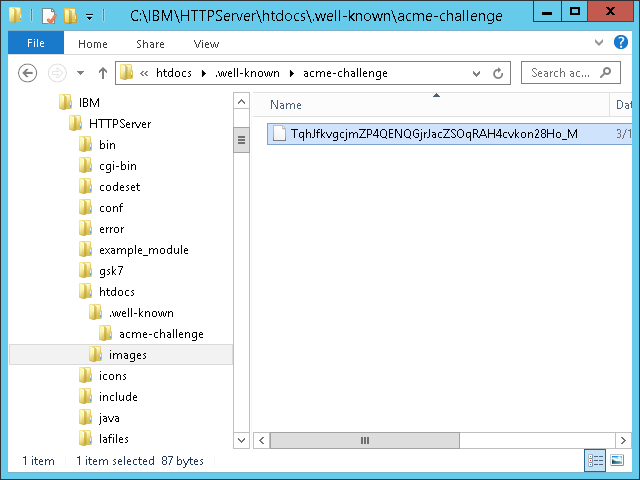 In the ACME protocol, the Let’s Encrypt servers will issue a set of challenges, and our web server must respond correctly to prove ownership of the domain. 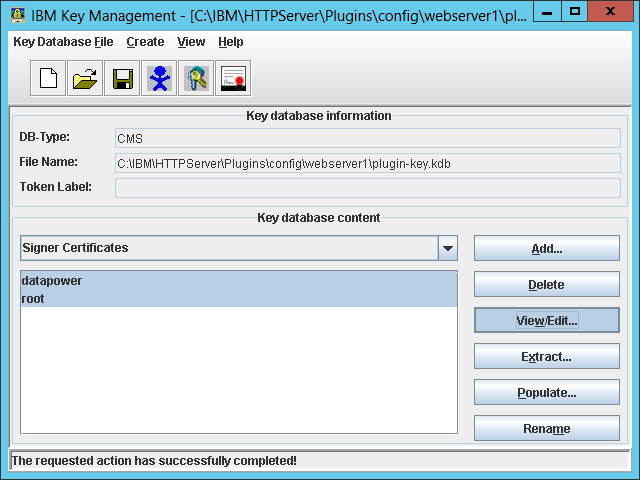 Normally, it is all automated, but there is no certbot plugin for IHS, so I will use the manual plugin. 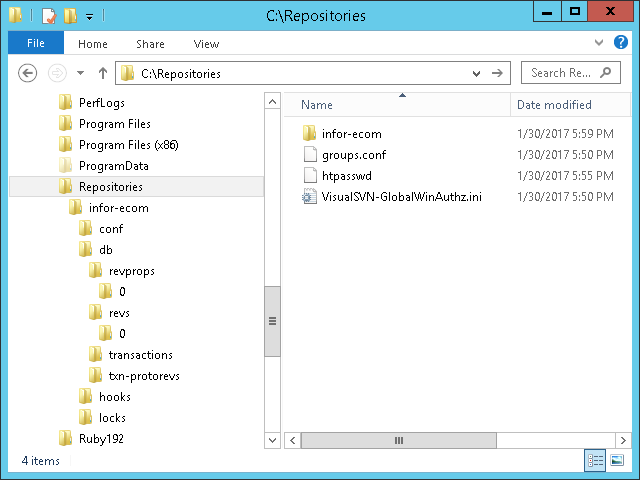 And because I have not yet tried an ACME client for Windows, I will use certbot on my Linux virtual machine. If you prefer, you can skip Let’s Encrypt, and submit the CSR to another CA of your choice (Verisign, Thawte, GoDaddy, Comodo, etc.). 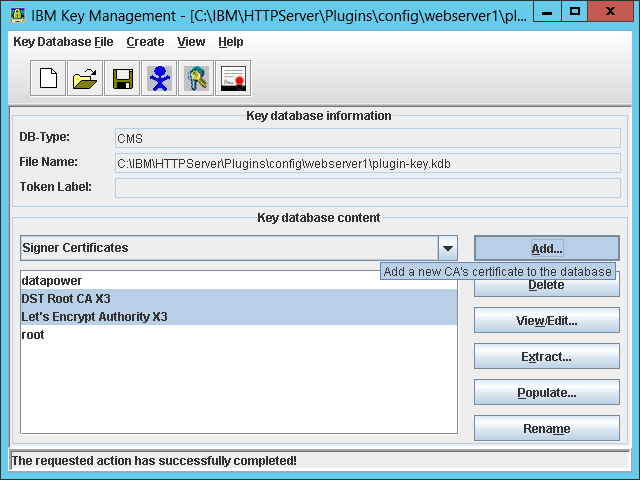 Let’s receive the signed certificate into the key database. 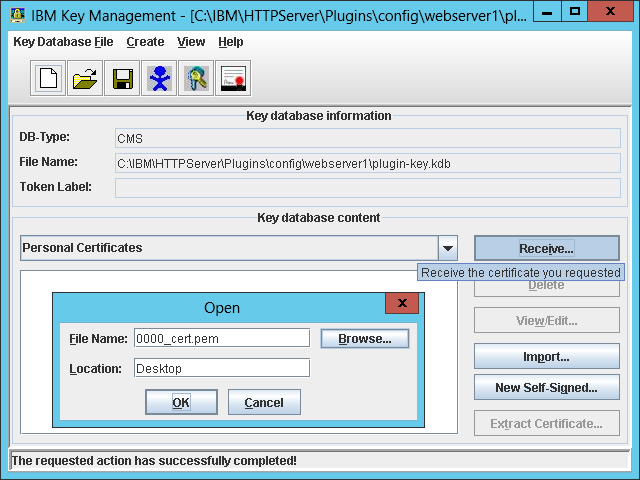 Extract the Let’s Encrypt root certificate from one of the chains (e.g. 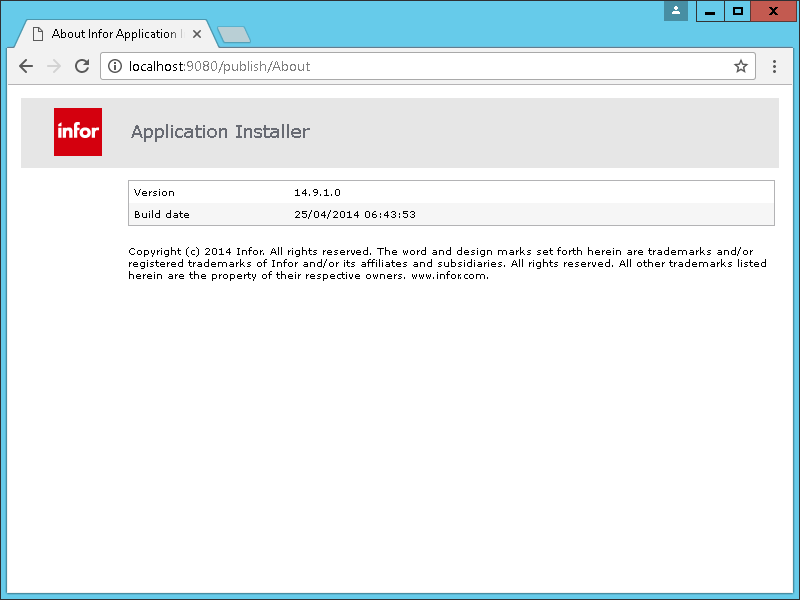 with OpenSSL), or download it directly from IdenTrust at DST Root CA X3, and save it to a temporary file somewhere (e.g. 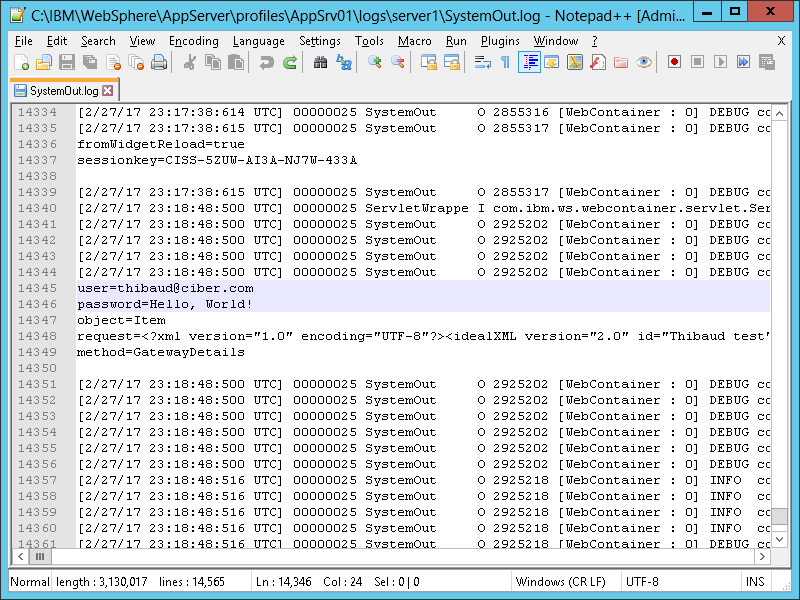 dst_root.pem). 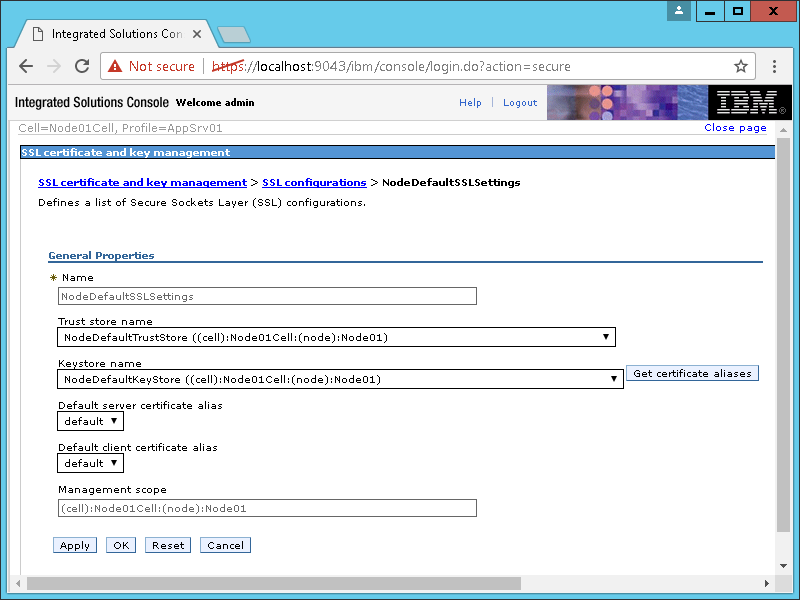 Let’s enable SSL in IHS. Let’s enable SSL in WAS. 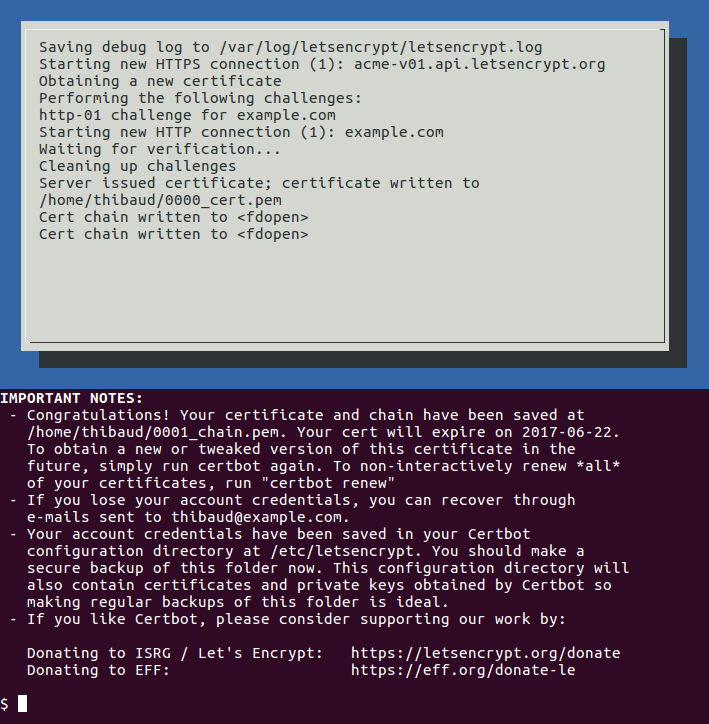 WAS will not have the Let’s Encrypt certificate, but that’s OK for now. 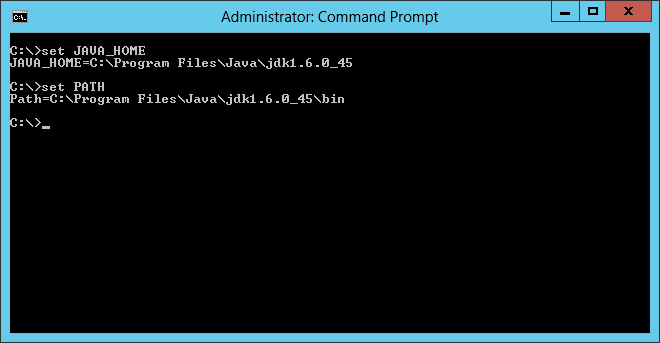 Backup the files, and restart IHS and WAS. 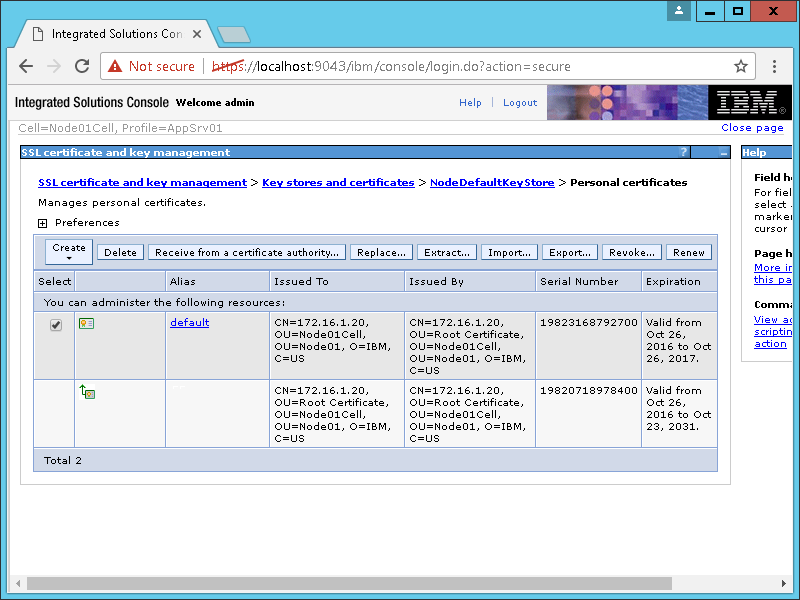 Let’s Encrypt does not provide Extended Validation (EV) certificates. 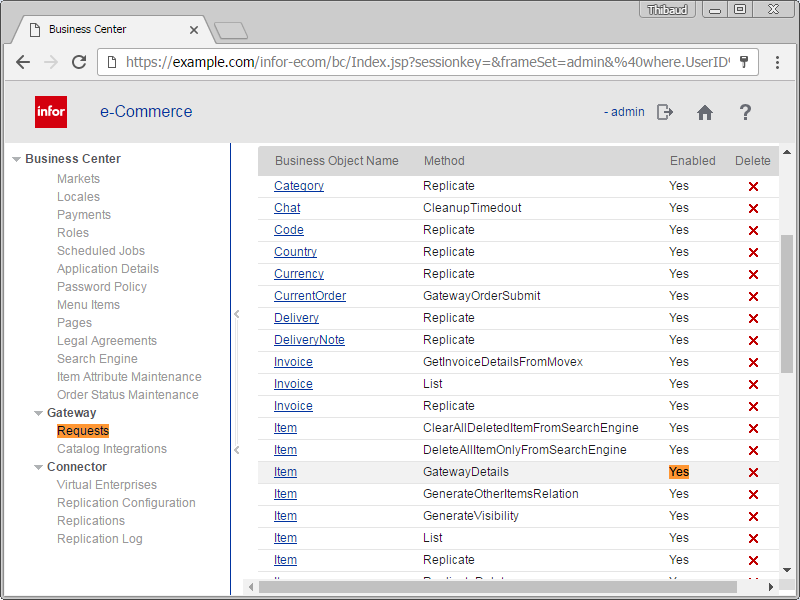 That was my setup of SSL/TLS for Infor e-Commerce using Let’s Encrypt as the certificate authority. 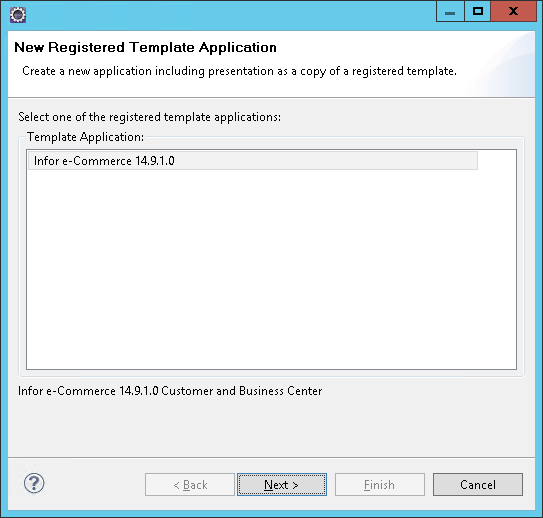 In a next post, I would like to setup the certificate in WAS too and setup automatic certificate renewal. That’s it! Please like, comment, subscribe, share, contribute. 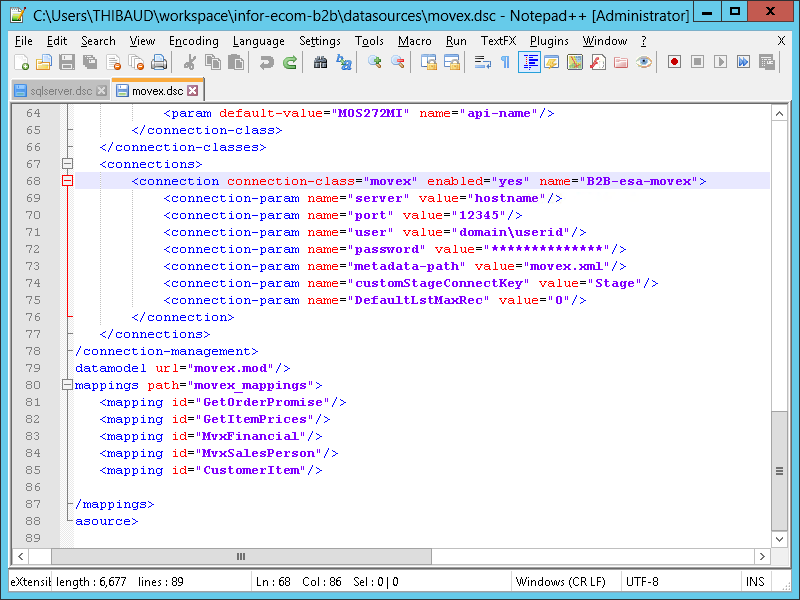 Here is my first test of the Infor e-Commerce XML Gateway. 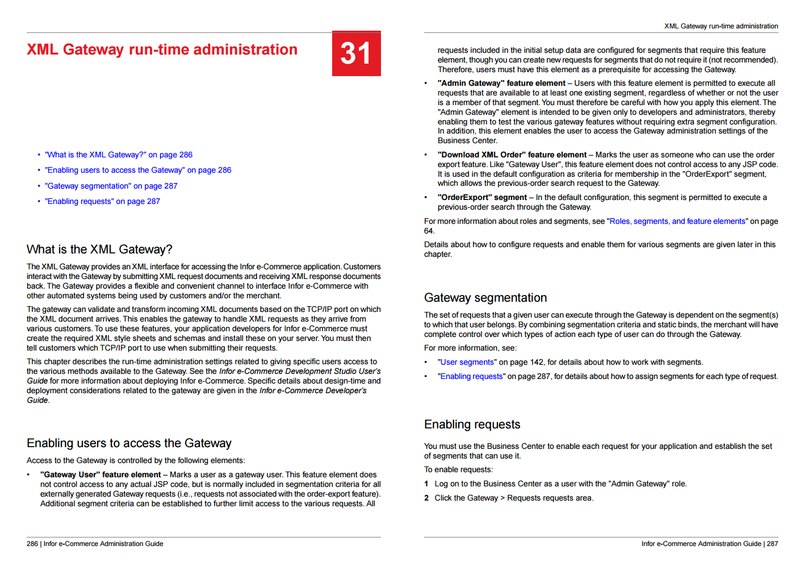 The XML Gateway is an API in Infor e-Commerce, for third-party software to make requests to e-Commerce, e.g. 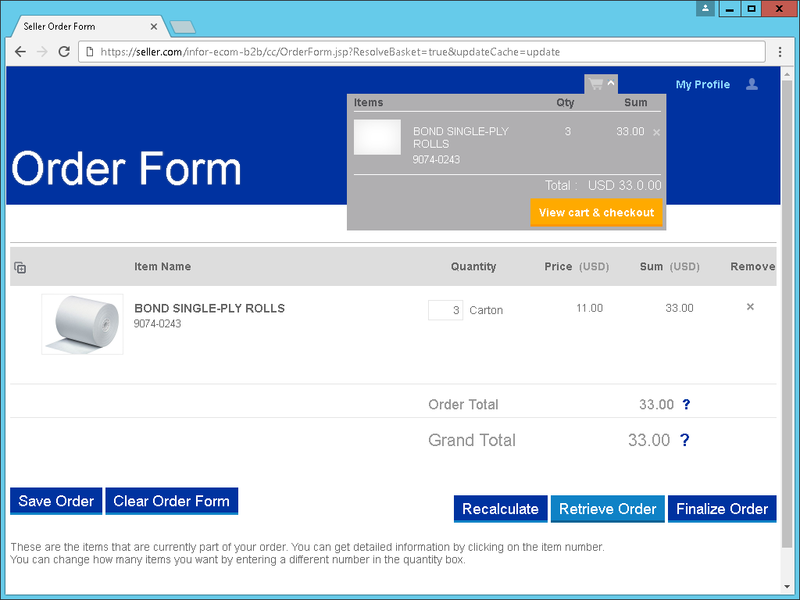 to create an order, to get an invoice, or to delete an item. 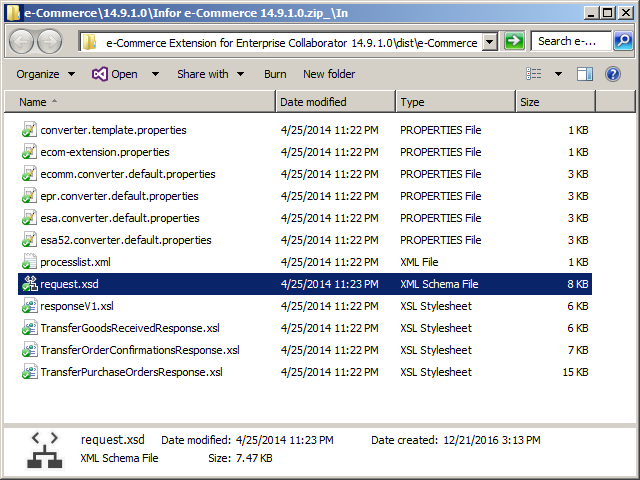 The requests are XML documents, in the proprietary IdealXML schema, sent to e-Commerce over HTTP, targeting the e-Commerce Business Objects and methods. 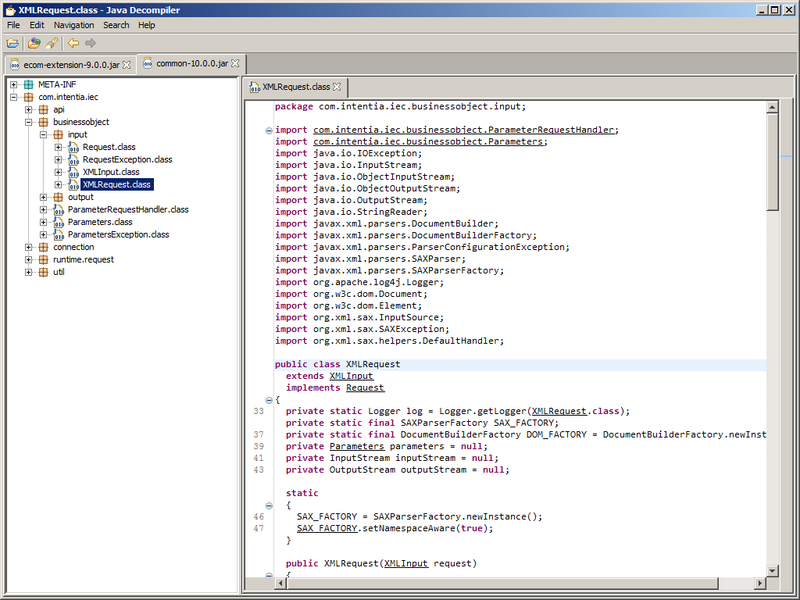 For the curious of us, we can peak at the source code. That is sufficient to start peaking at source code. 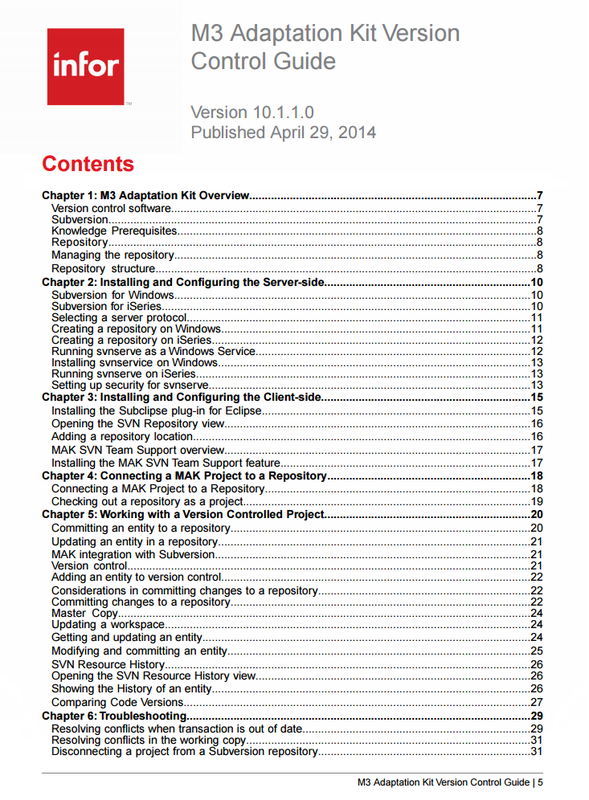 The Development Studio User’s Guide has a chapter The iXML document format. 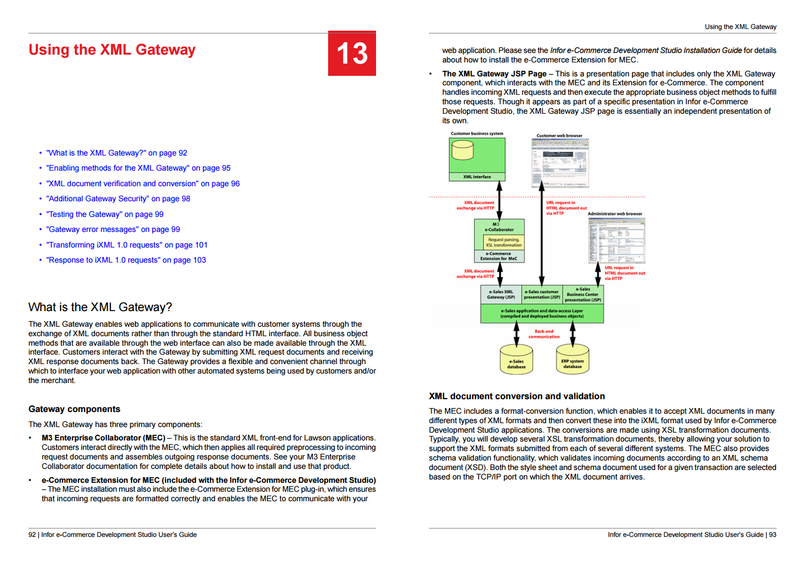 The latest version of the XML Gateway does NOT provide XSL Transformation (XSLT); it may have been included in the early versions when it was ASP, not anymore. 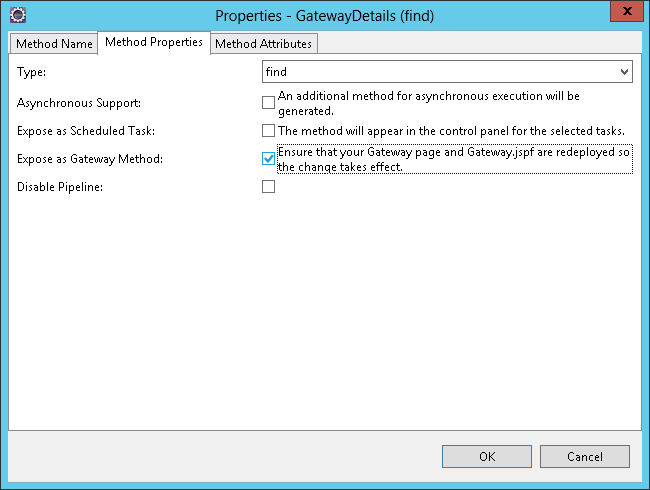 You can easily develop a proxy JSP that does XSLT and that forwards the request to gateway.jsp. I will explore this in a future post. 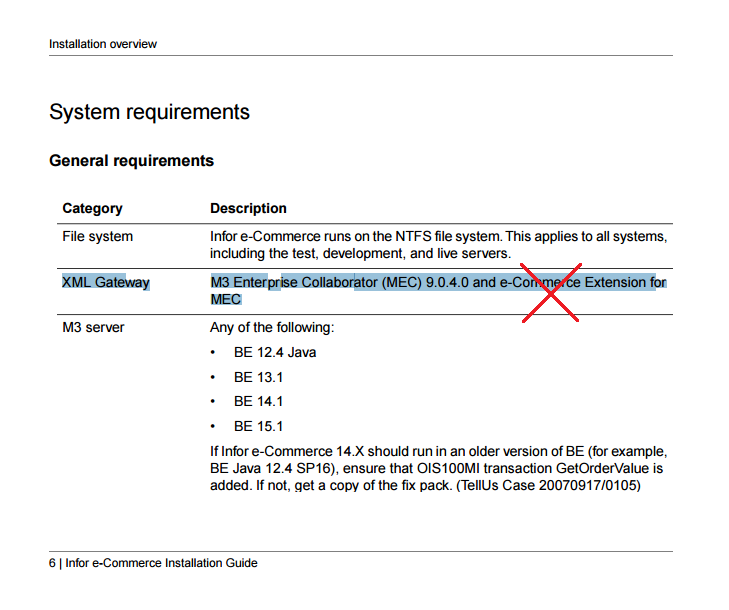 Otherwise, if you use MEC and the e-Commerce Extension for MEC, you can do XSLT in MEC as usual. 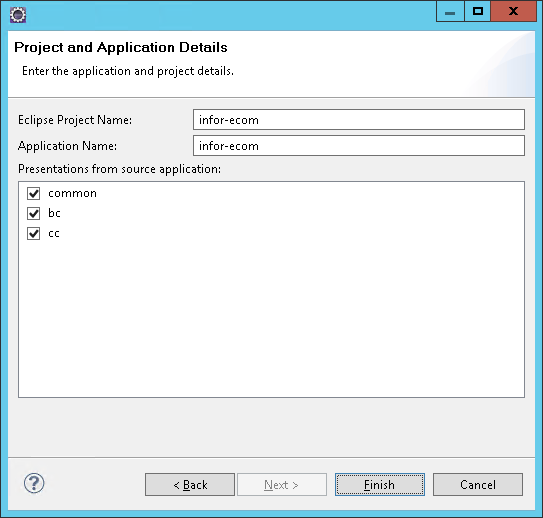 Still, I am not able to reproduce the setup for another user, and I do not know why. I recommend HTTPS (secure), not HTTP (insecure). 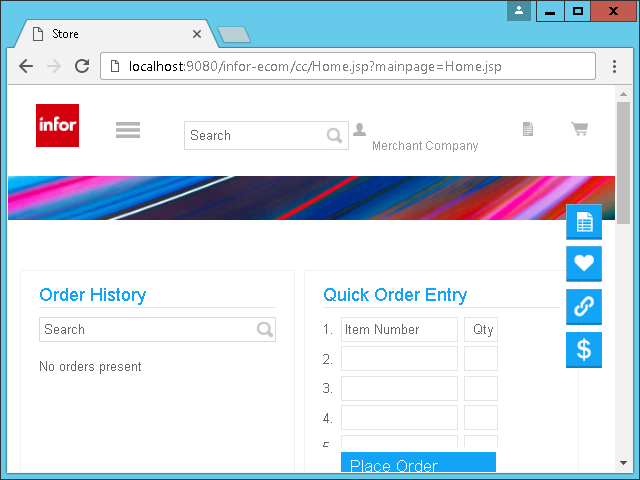 The scheme, hostname and port number are those of your e-Commerce, e.g. 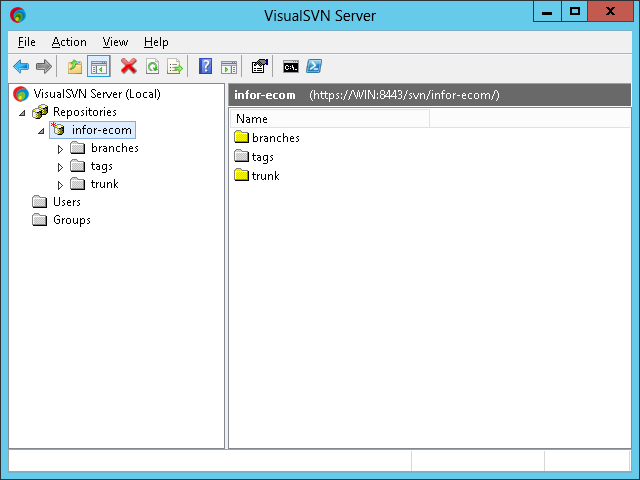 https://example.com:443. 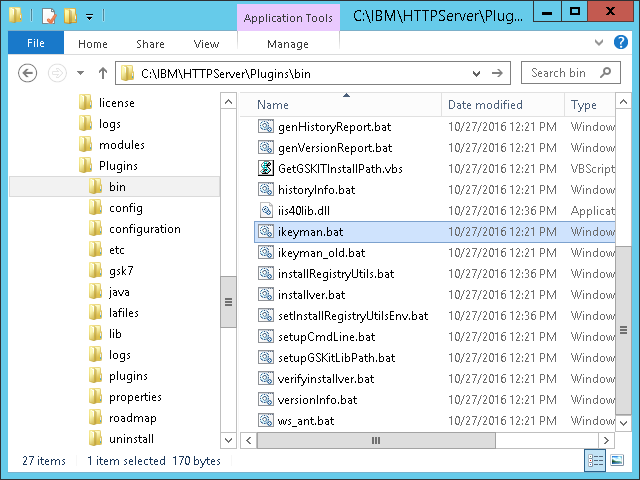 The method can be either GET (with the parameters in the URL) or POST (with the parameters in the request body), but I advise against GET because the user and password would be in the URL, and nodes along the way may store the URL in clear text in the logs; I recommend POST instead. 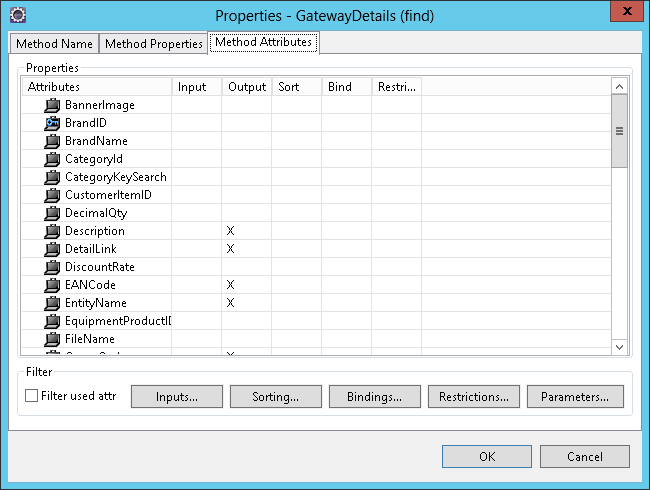 The input parameters user and password are for authentication. 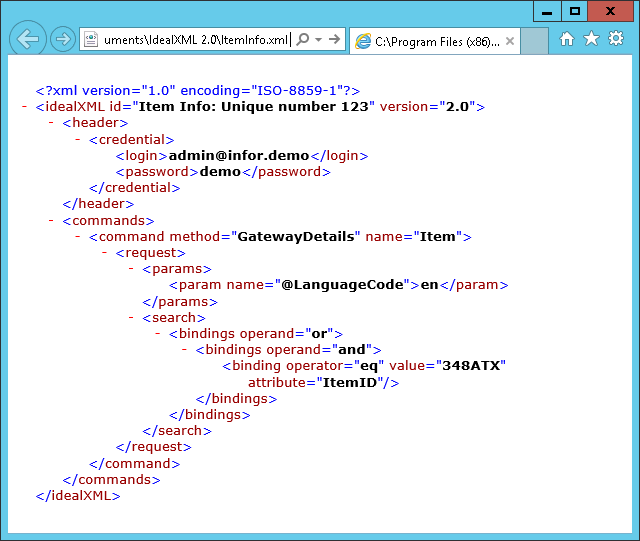 Note: the XML Gateway does not accept HTTP Basic authentication. 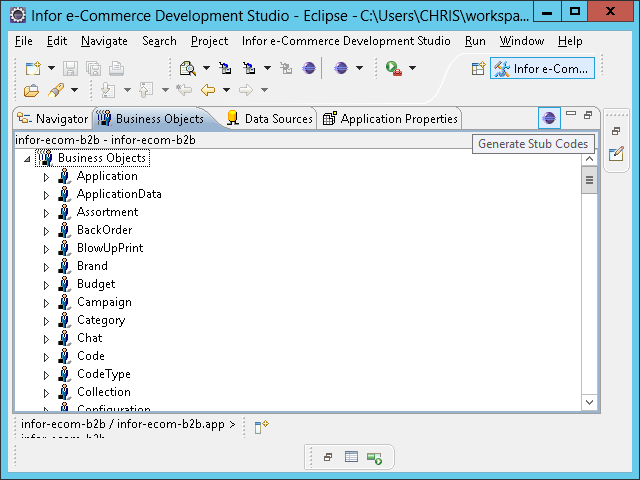 The input parameters object and method are for the business object. 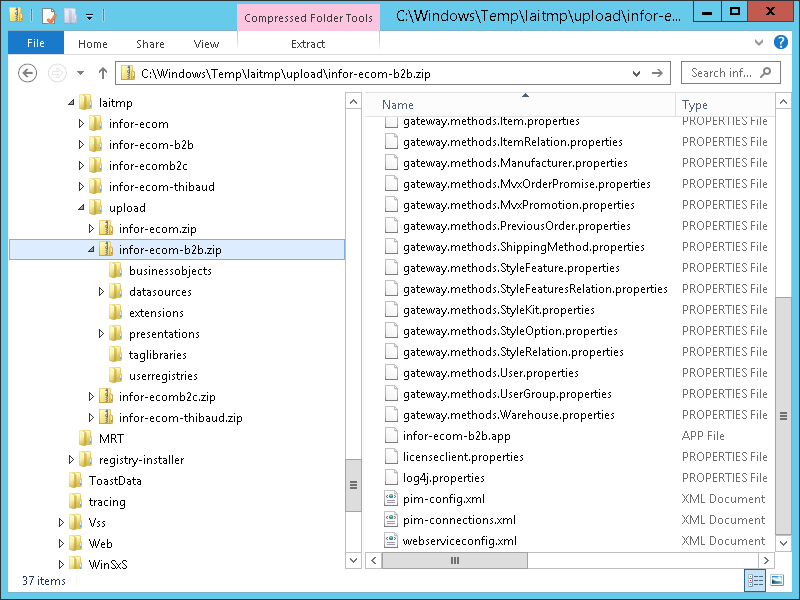 The input parameter request is the entire <IdealXML> content. 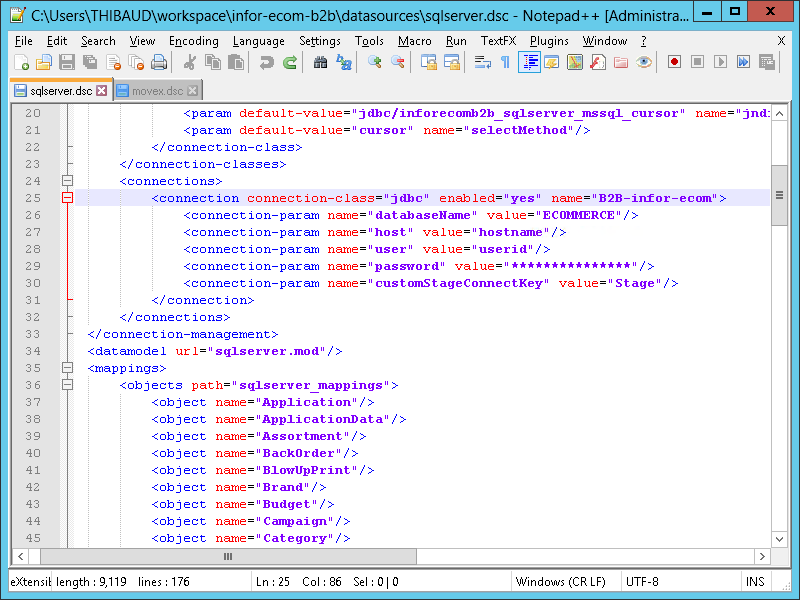 All parameters must be URL-encoded. I removed the <login> and <password> from the <credential> as they are ignored. 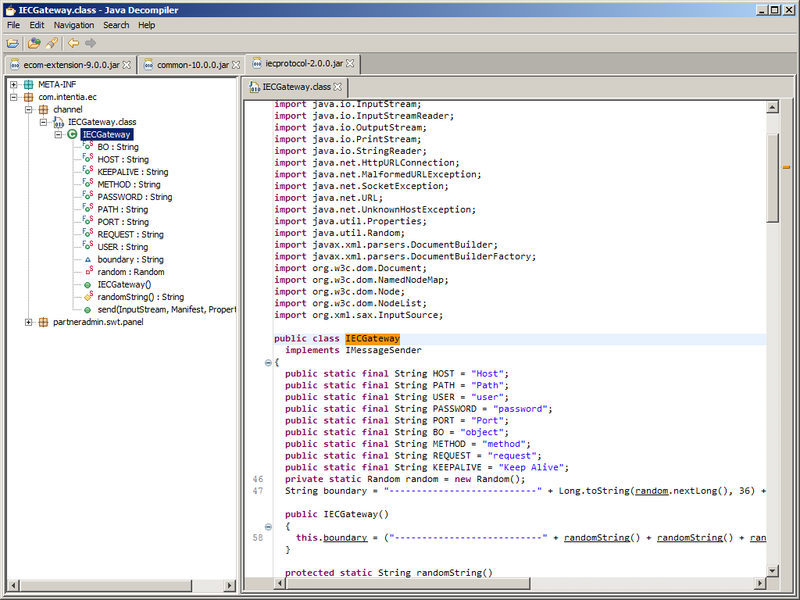 I removed the <command>’s name and method attributes as they are ignored. 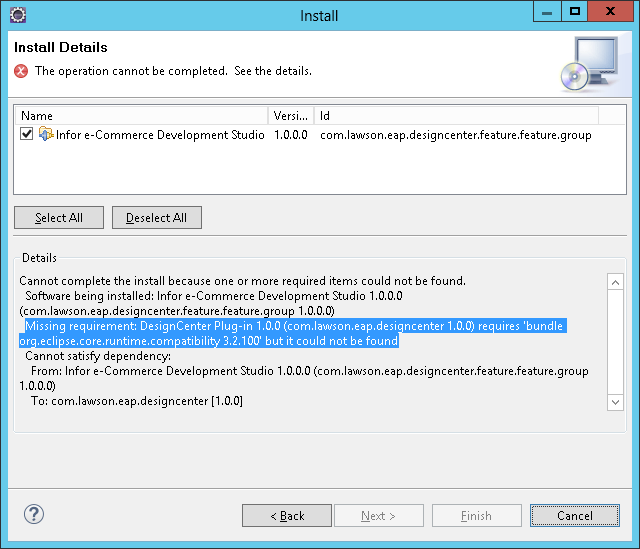 The Development Studio User’s Guide has a chapter Gateway error messages, with codes, but the codes do not match this. 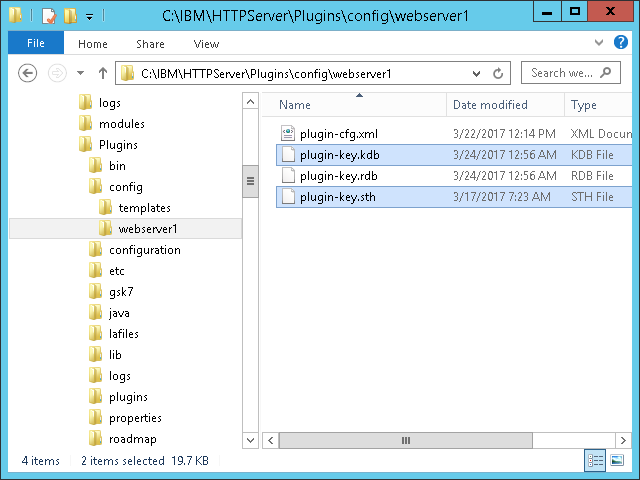 The XML Gateway accepts requests over plain HTTP (instead of HTTPS) even though the request contains the user and password and other private data in clear text, it is insecure. 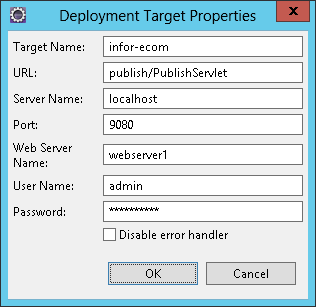 Force HTTPS (secure) by default, disable HTTP (insecure). 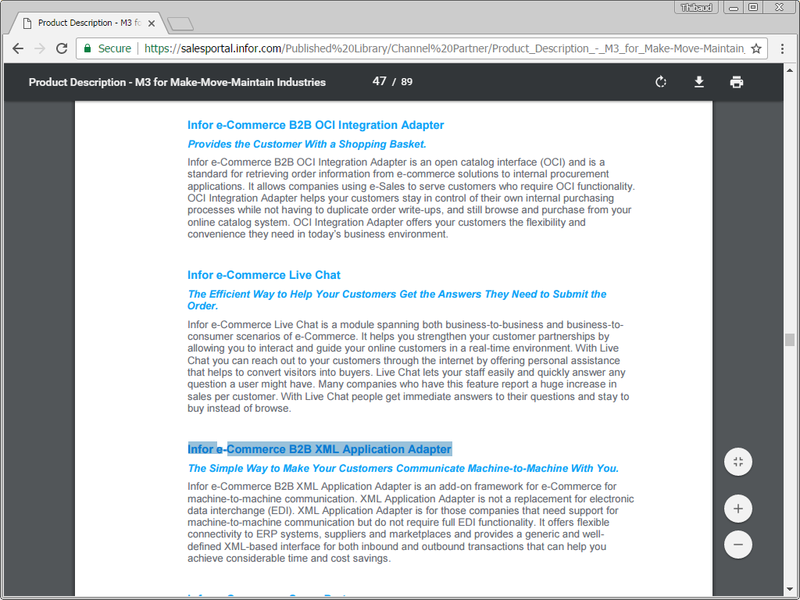 Try the e-Commerce Extension for MEC. 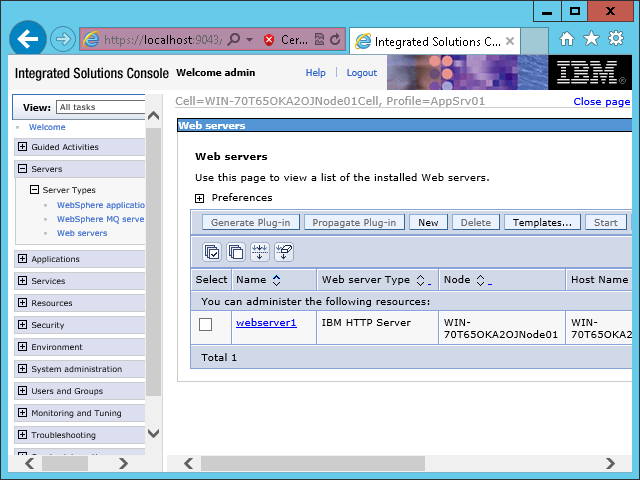 Try the WSDL and the Infor e-Commerce Web Service Specifications for Synchronous Calls. 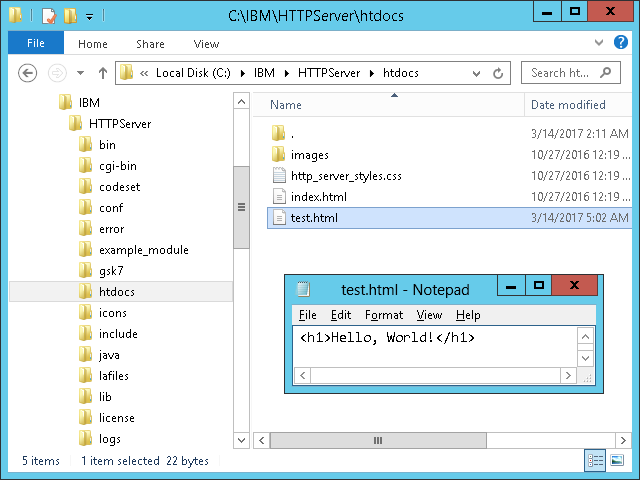 Try other Business Objects and methods. 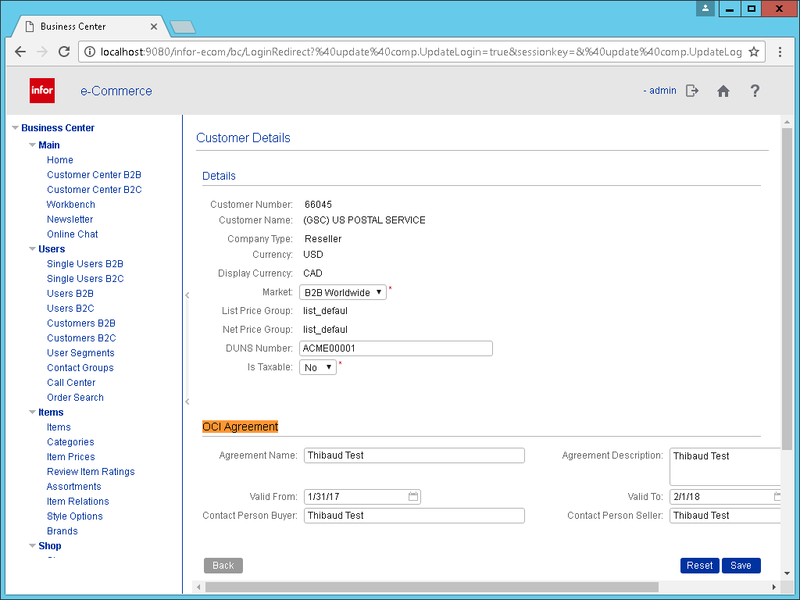 Try custom Business Objects and methods. Understand more about the bindings. 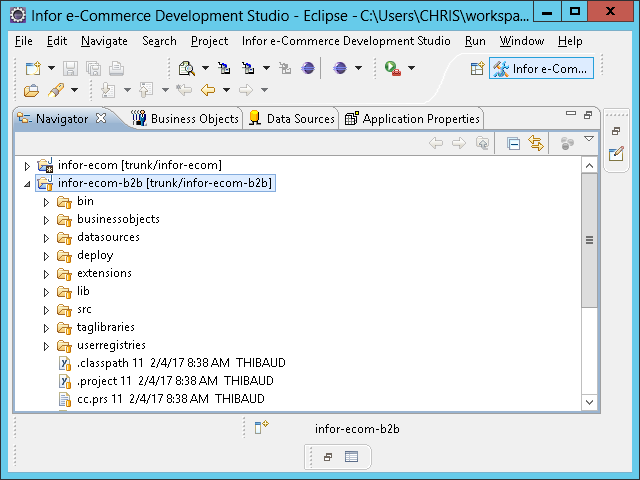 That was my first test of the XML Gateway in Infor e-Commerce, for third-party software to make requests to e-Commerce, e.g. to place an order or get the details of an item. 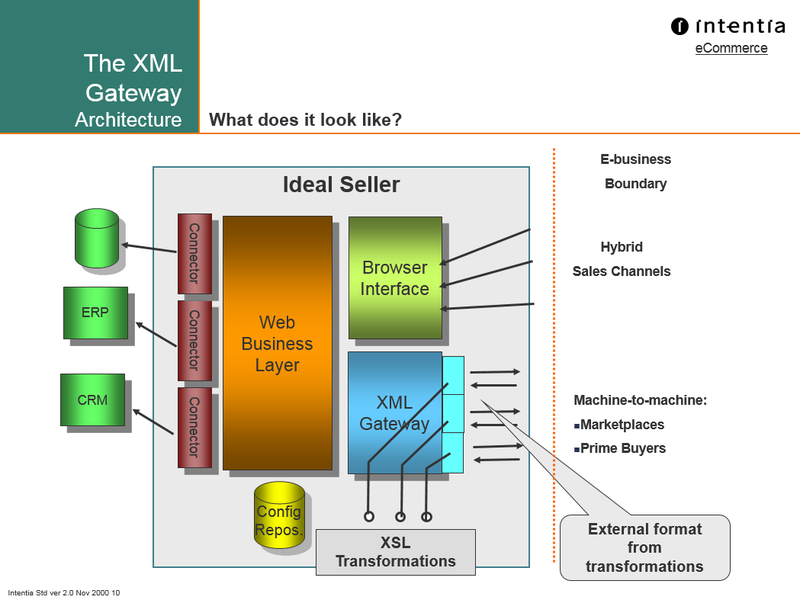 I have more work to do if I want to master the XML Gateway. Please like, comment, subscribe, share, participate. 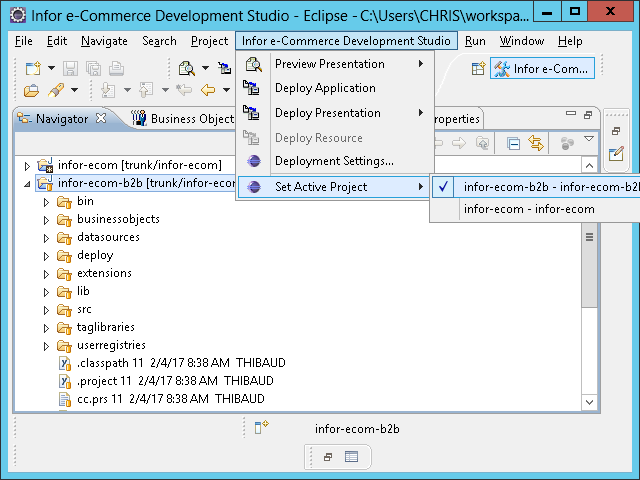 Here is an illustration of how to setup Apache Subversion for source control in Infor e-Commerce Development Studio, such that multiple developers can work on the same e-Commerce project at the same time, for team development. 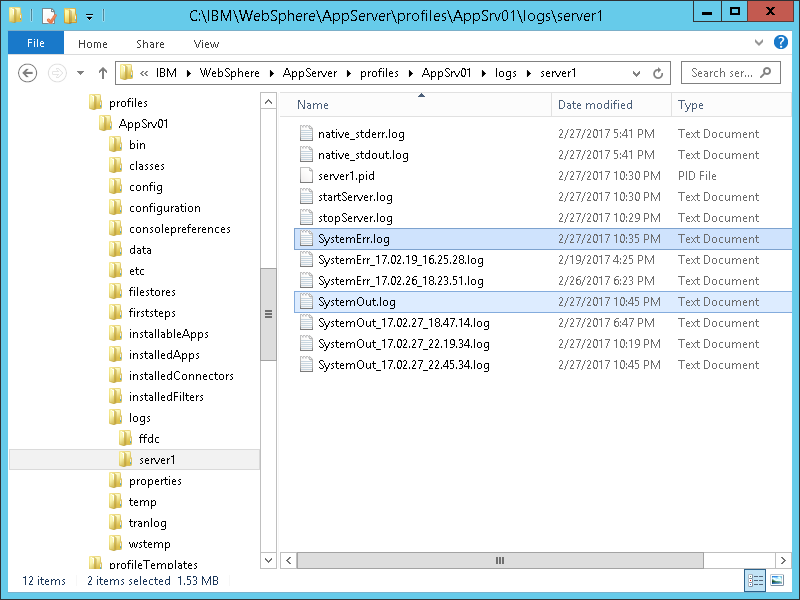 Small teams can setup multiple workspaces, one per team member, share the same source code, and mutually agree on which non-overlapping files to work on, being careful to not touch each other’s files. This is workable in small teams, but is not scalable for large teams or inexperienced team members as there is risk of data loss. The correct solution is to setup source control software to manage that. 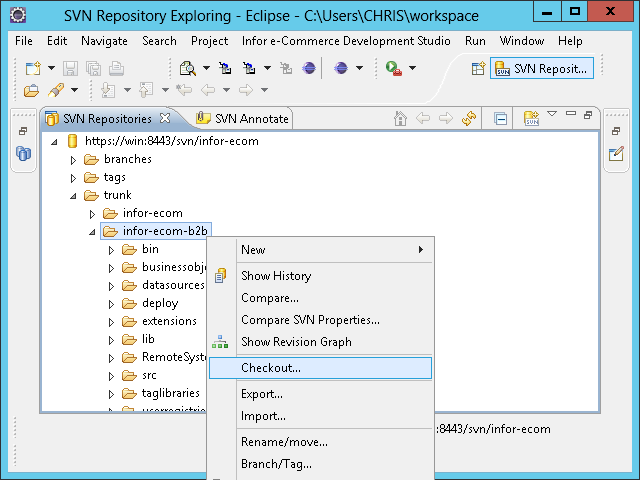 Supposing there a N team members doing e-Commerce development, we will setup one Subversion server & repository, and N e-Commerce Development Studios & workspaces all using the same Subversion repository. 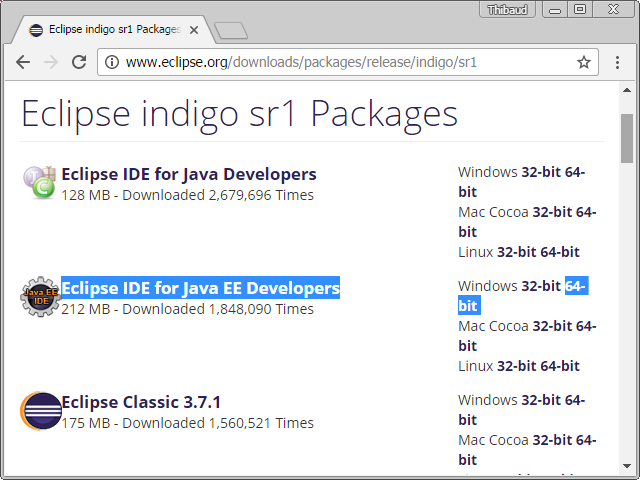 In my case, there are three developers, Thibaud, Chris, and Madan, thus I will setup three workspaces to use the same Subversion respository. I wish I could use Git, instead of Subversion. 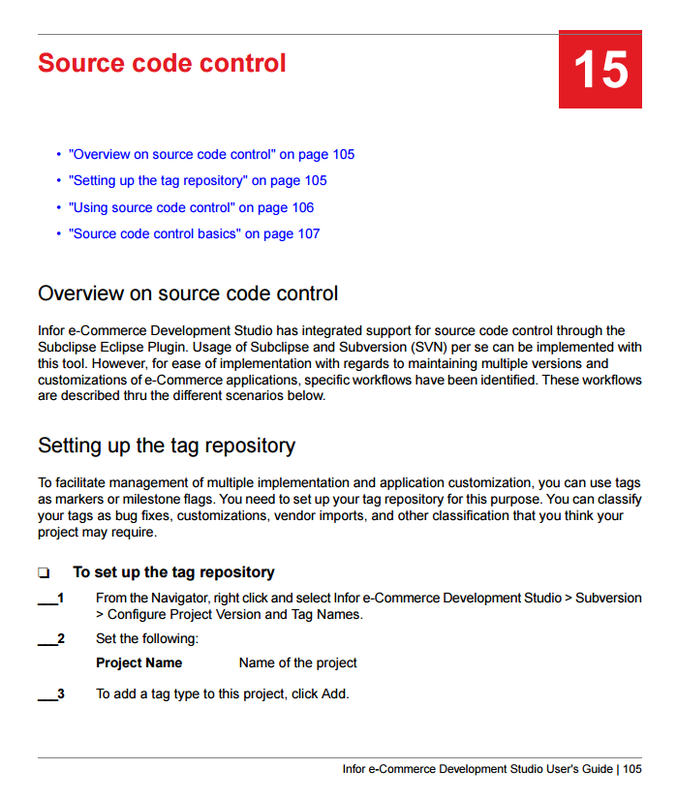 I believe Git would work for e-Commerce just as well as Subversion does. 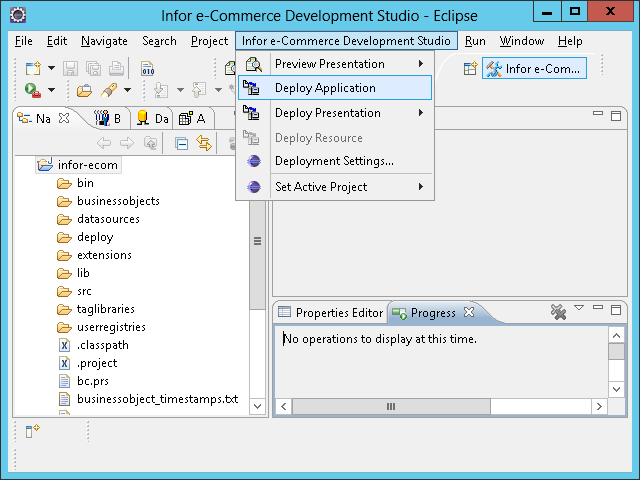 The e-Commerce Development Studio requires Subclipse during installation; I could install Subclipse just to surpass that, then ignore it, and install Git. 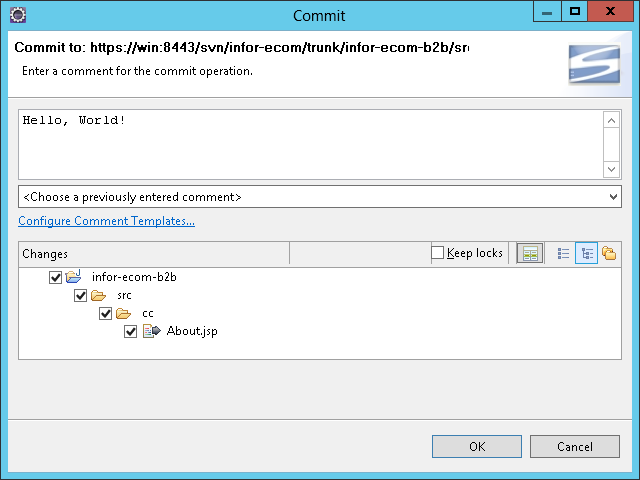 However, I asked Infor Support if Git would work with e-Commerce, and they responded it has not been tested and certified to completely work, and should problems arise due to an effect from using Git, they cannot provide support for it. So I will skip Git for now, and I will try it another time. 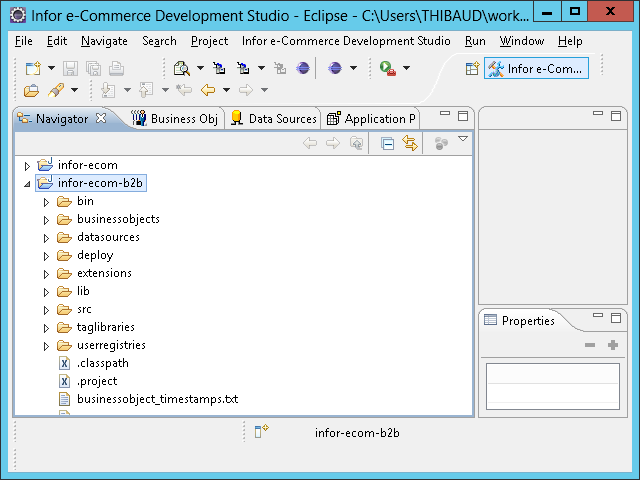 The Subversion repository is now ready to host the e-Commerce projects. Choose one user (e.g. 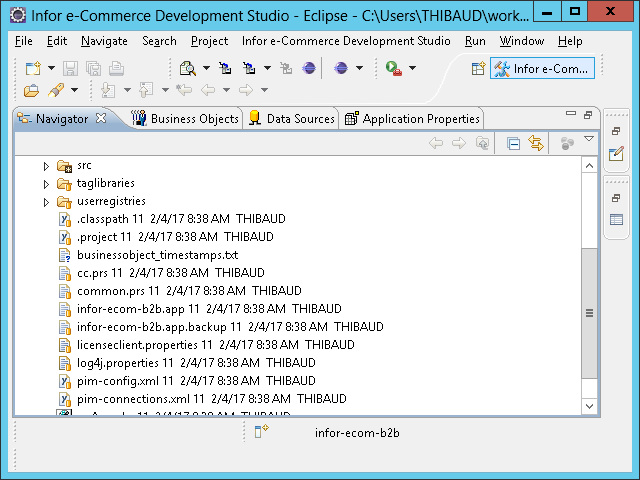 Thibaud) to bootstrap the e-Commerce projects (e.g. 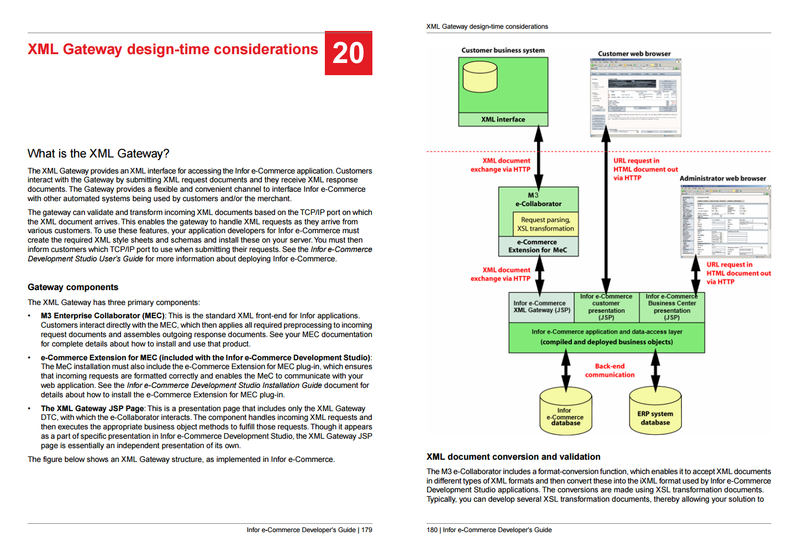 B2C and B2B) to the Subversion repository for the rest of the team (e.g. Chris, Madan). 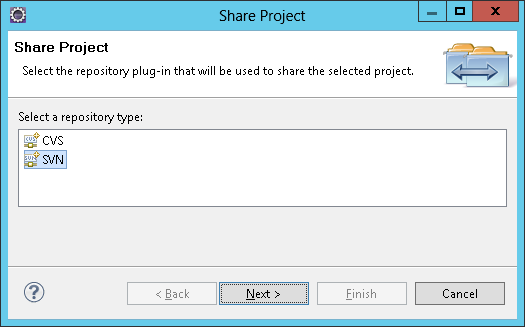 Note 1: If the projects are in a shared workspace, e.g. 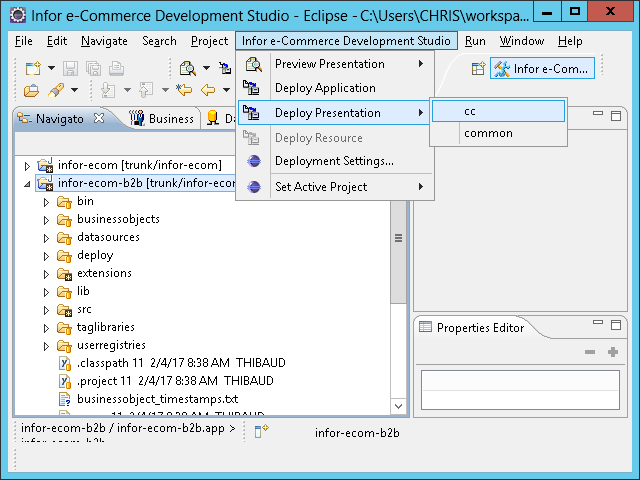 C:\e-Commerce\workspace\, and you want to move them to the private workspace, simply cut and paste the project folder from the shared workspace to the private workspace. 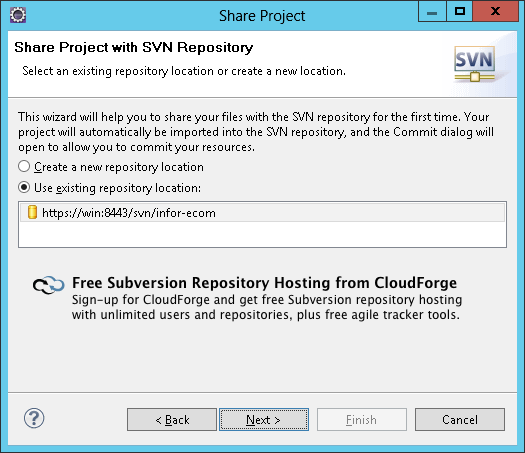 Note 2: Don’t make a duplicate (copy) of a project, because after we bootstrap the project to the Subversion repository, any duplicate of that project would be out of reach of Subversion and deprecated. The project is now ready for the rest of the team to checkout. 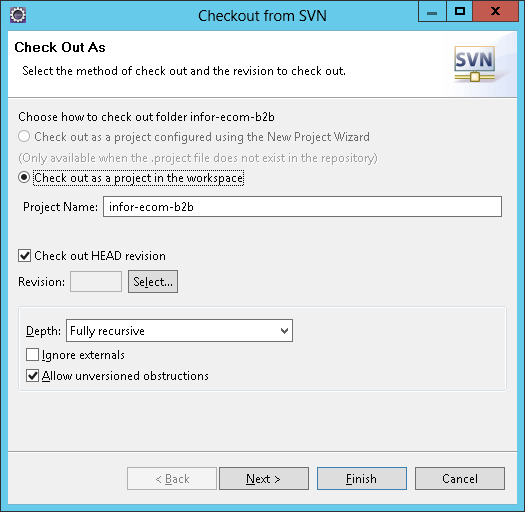 Repeat for each project (e.g. B2C, B2B). 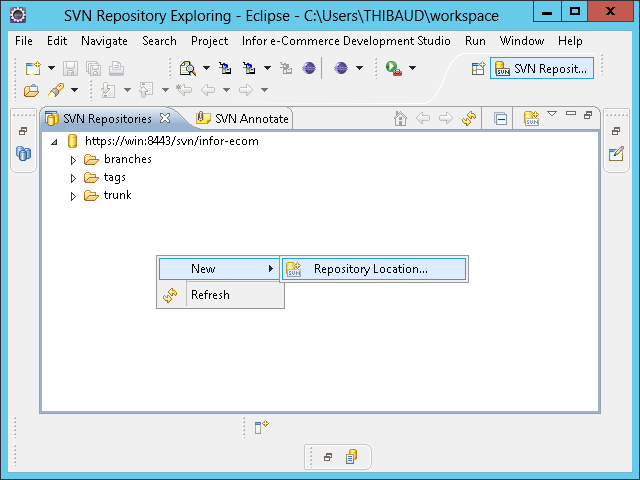 Now we can setup the Eclipse workspaces and projects for the rest of the team (e.g. Chris, Madan). 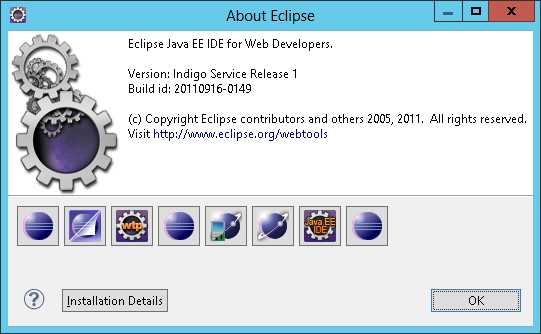 Regarding the Eclipse IDE itself, you can choose to use a private install for each user, a shared install for all users, or a shared configuration, see the Eclipse multi-user installs. 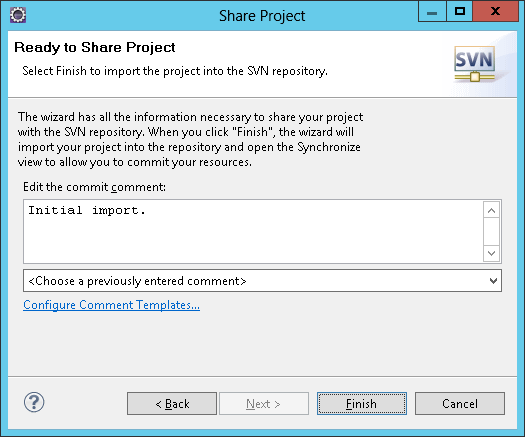 If not, you may have to clean, re-build, and/or refresh the project. 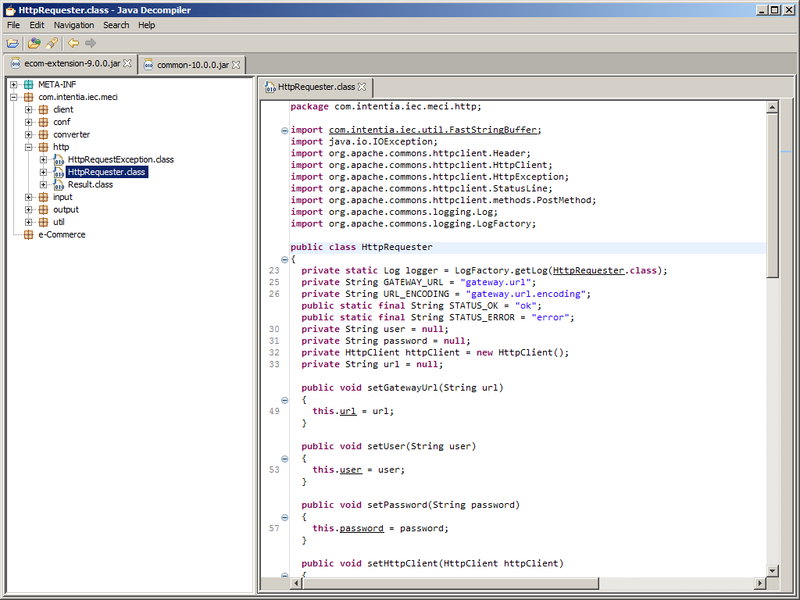 This team member’s environment is now all set. Repeat for each remaining team member. Repeat as needed: make changes, deploy, test. 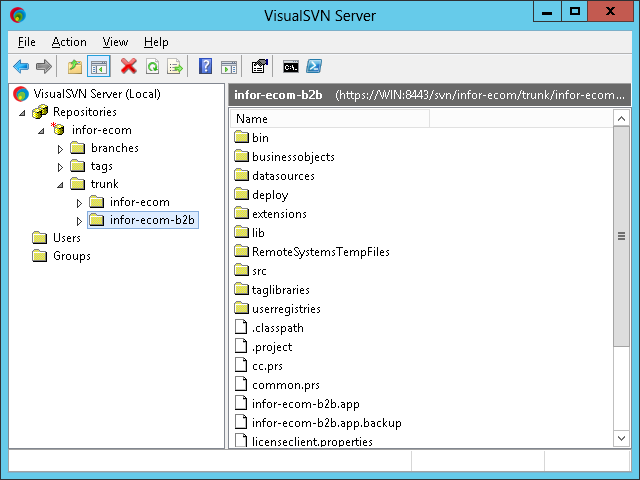 Verify in the SVN Repository > Show History. Now, when the other team members select Team > Update to HEAD, they will see your changes in their workspace. 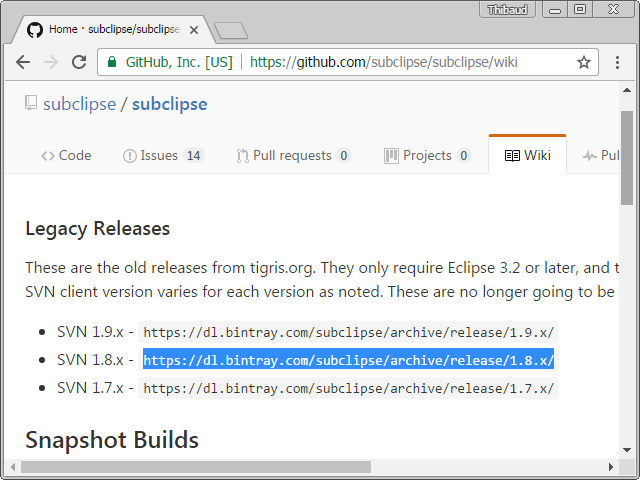 Next time, I would like to try with Git instead of Subversion. 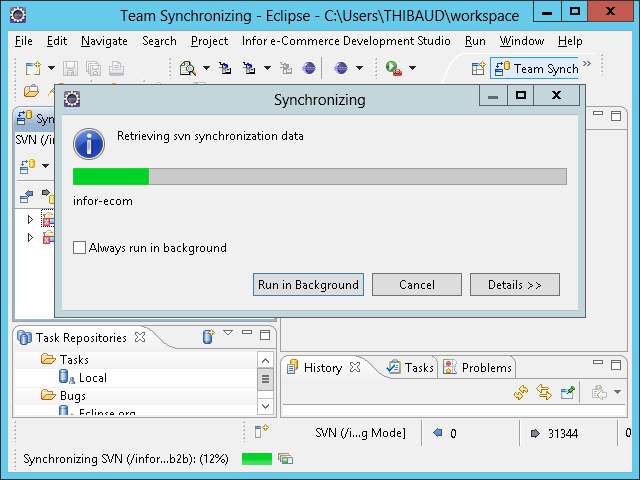 That was an illustration of how to setup Subversion in e-Commerce for a team to work on the same project at the same time. The first user bootstraps the project to the Subversion repository, and the other users checkout that project from the repository. 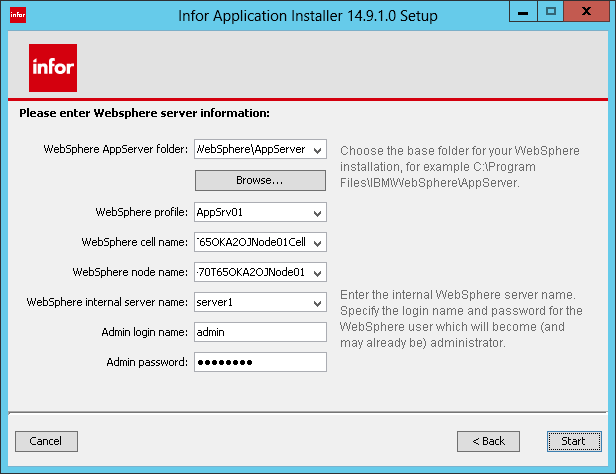 Special thanks to Wayne Liu of Infor and Marina Baldan of CAD IT for the help. Please like, comment, subscribe, share, author. 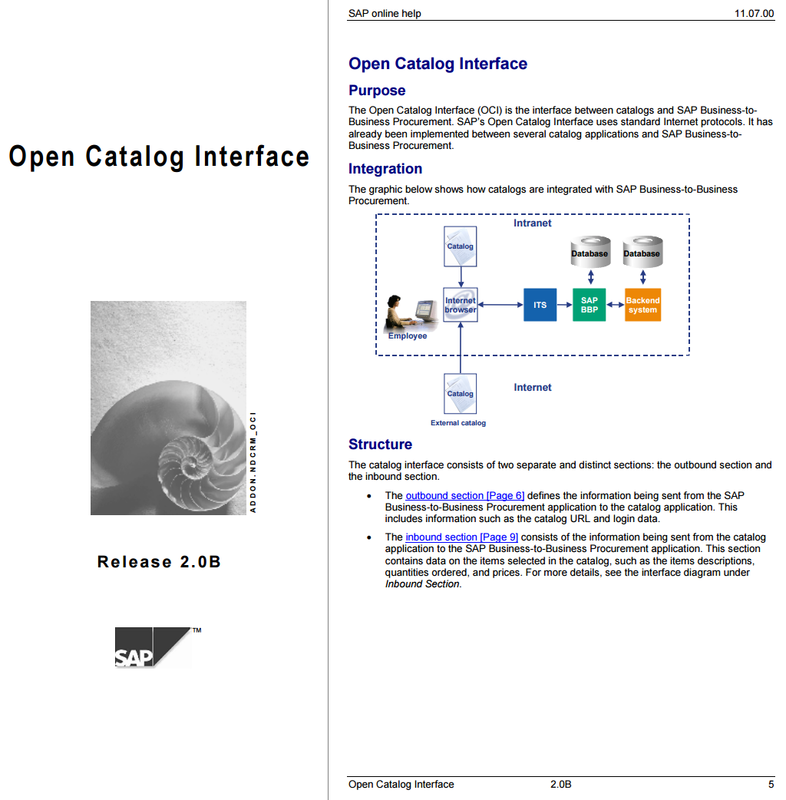 Here is my first test of Open Catalog Interface (OCI) in Infor e-Commerce. It competes with the cXML standard from Ariba also from around year 1999. 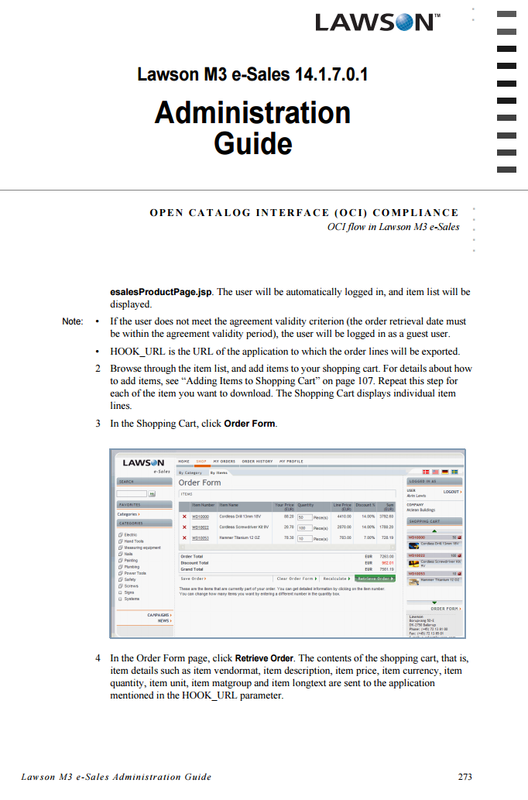 I will use OCI for PunchOut with e-Commerce, i.e. 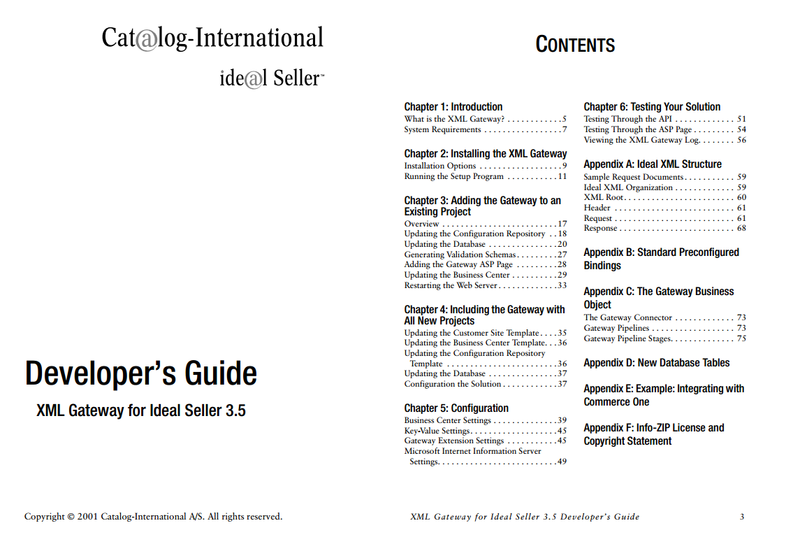 for a buyer to place an order in a seller’s e-Commerce, and retrieve the order in the buyer’s system (e.g. 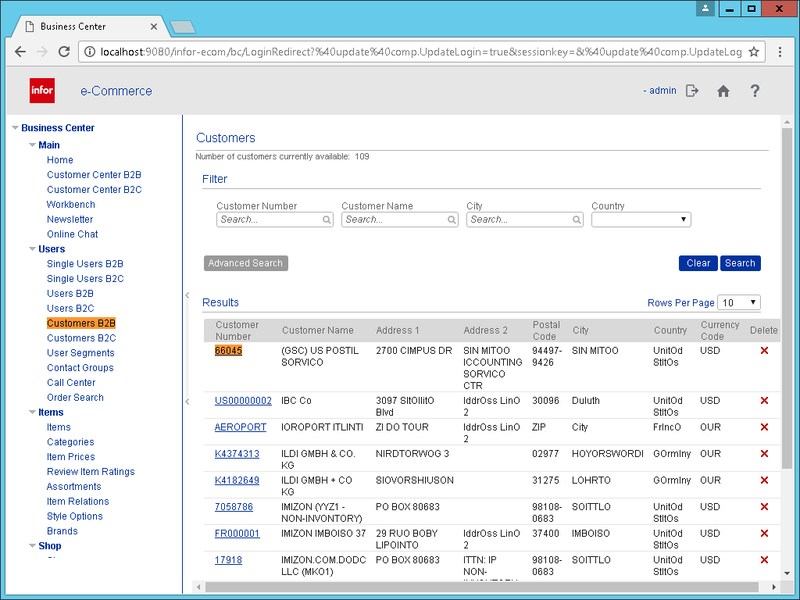 SAP, PeopleSoft). 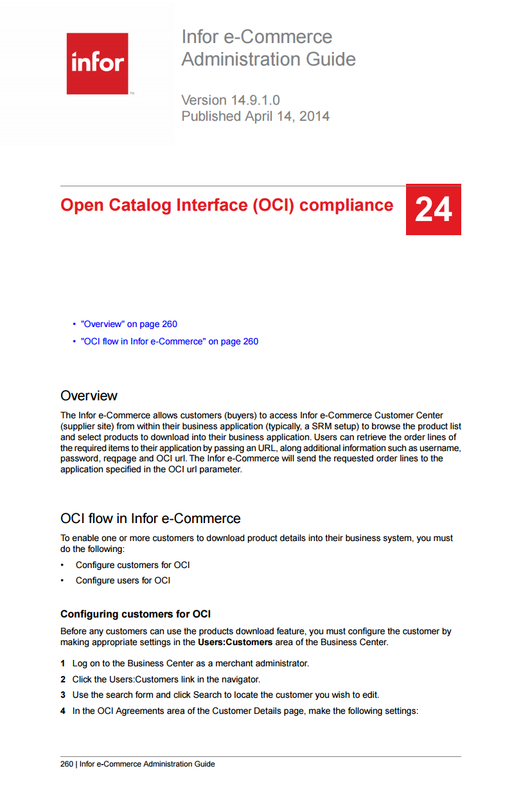 If we are familiar with Infor e-Commerce and OCI, and if we have the old documentation, we can figure it out. 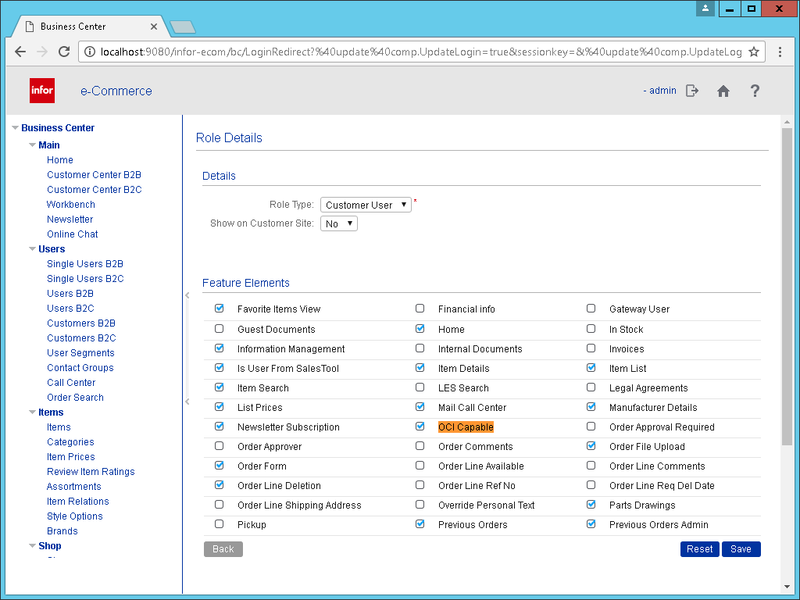 Let’s configure the seller’s e-Commerce B2B, with role, customers, and users. 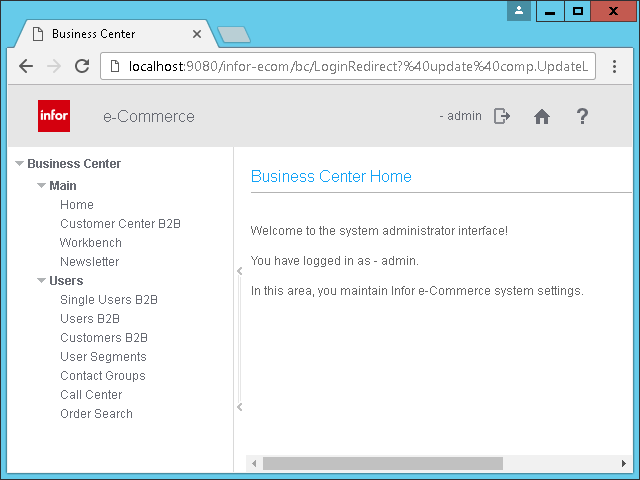 https://seller.com/infor-ecom-b2b/cc/ is the base URL to Infor e-Commerce B2B Customer Center (replace the host, port, and path as needed). 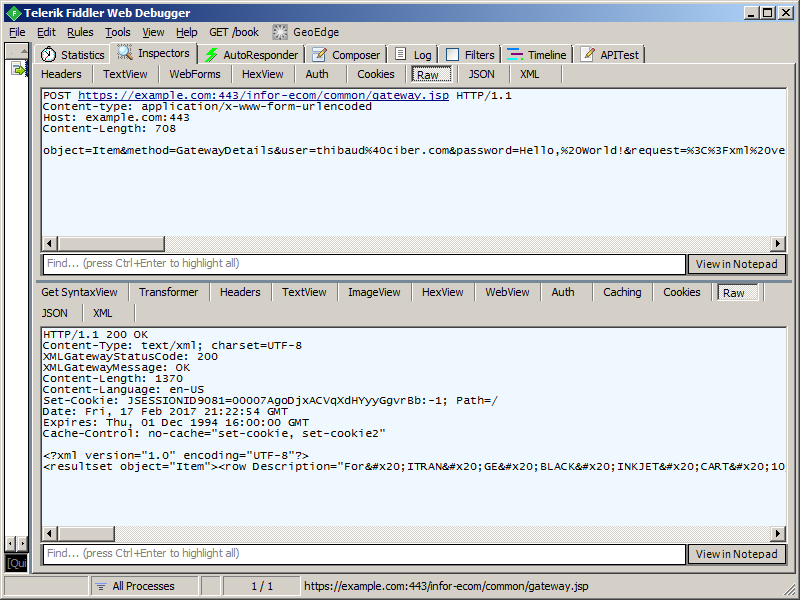 I had tried the B2C URL, but the reqpage had no effect, it only worked with the B2B URL. 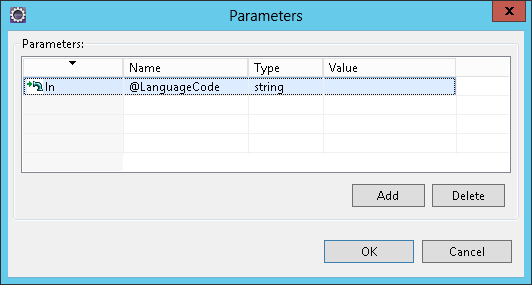 As usual, the parameter values must be URL-encoded in the URL. That URL will launch e-Commerce, will authenticate the user, and will land the user in the items page, ready for the user to place an order. 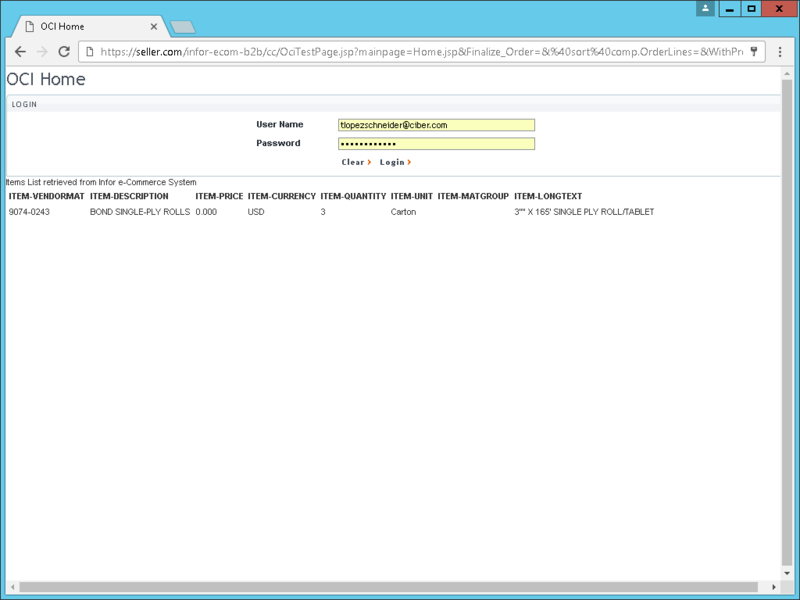 Verify the order on the buyer’s system (e.g. SAP, PeopleSoft). 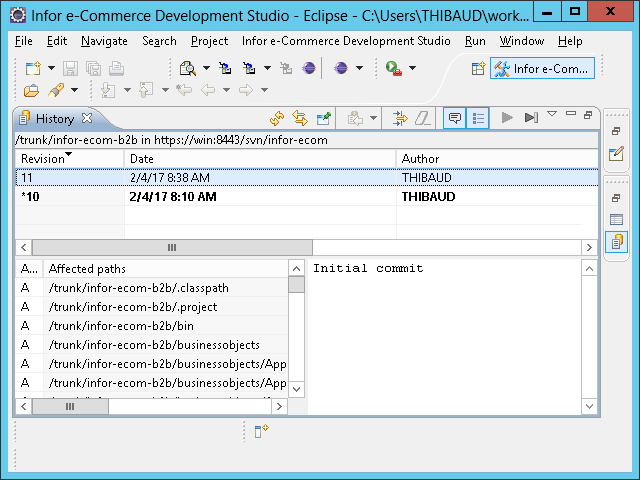 That completes the process flow. 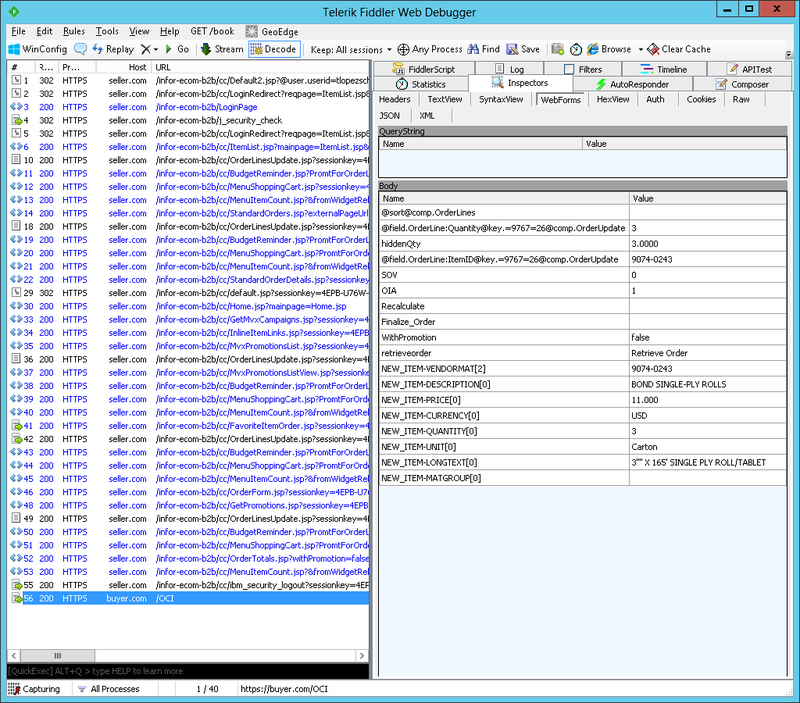 The parameter NEW_ITEM-VENDORMAT had an incorrect index, I had to correct it manually from  to . 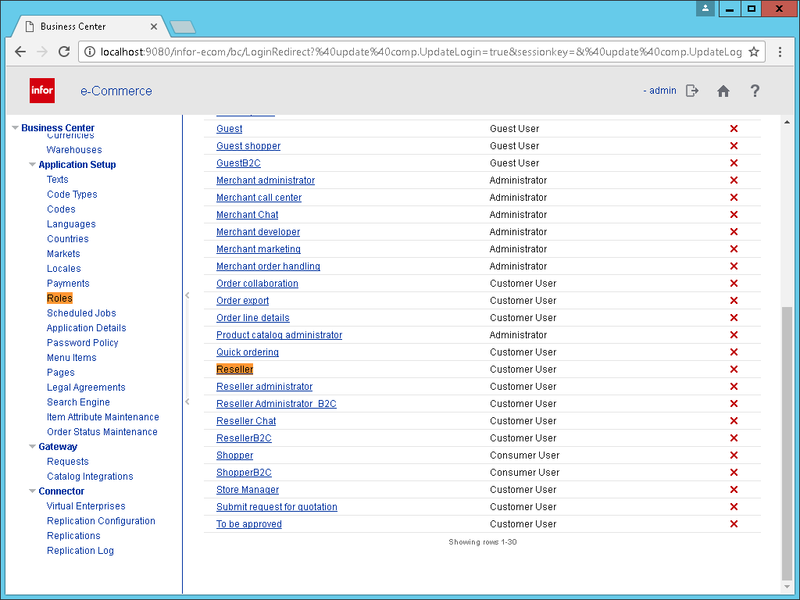 It did not work with my User B2B Thibaud, it says “You are currently not authorized to see the requested page. 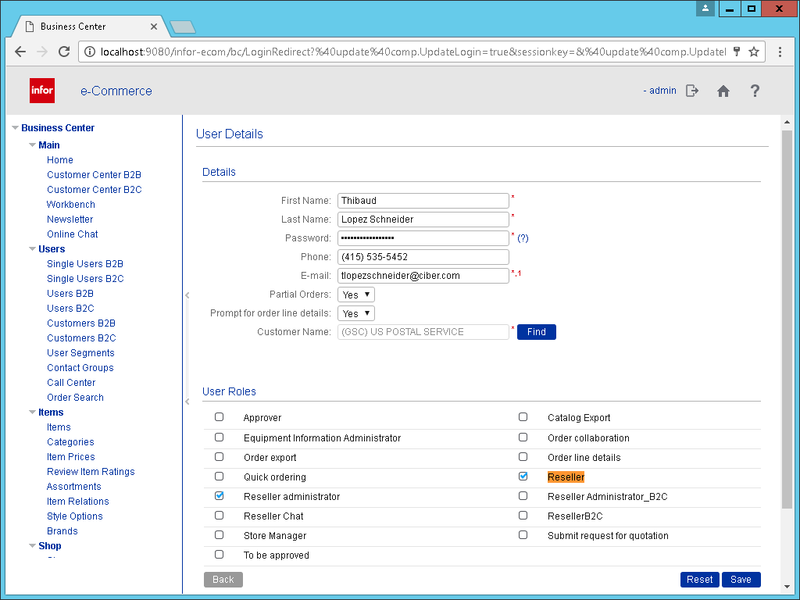 Please login and try again.” I had to switch to admin, I must be missing a Role. 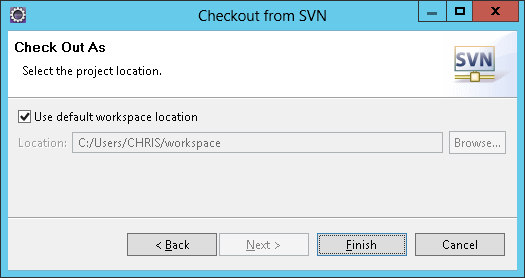 I had to force the parameter retrieveorder to any non-null value. 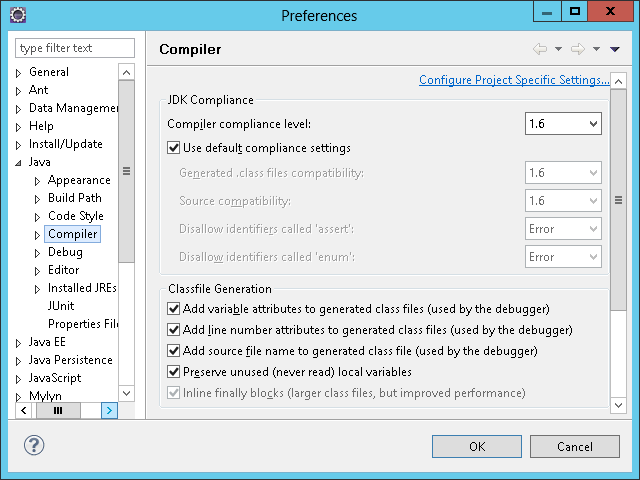 There is a parameter ocirul which I do not know how to use. 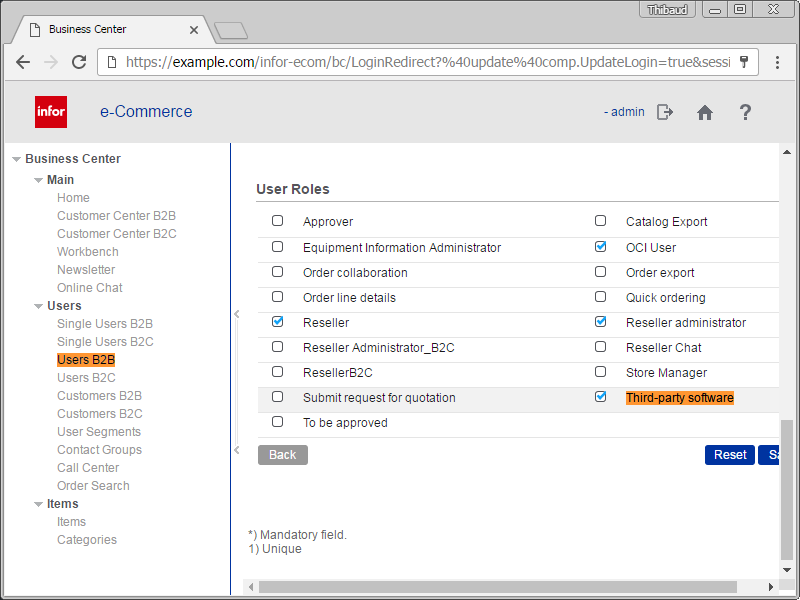 OCI does not support edit and cancel operations of requisition orders, unlike cXML, so I must find a workaround. 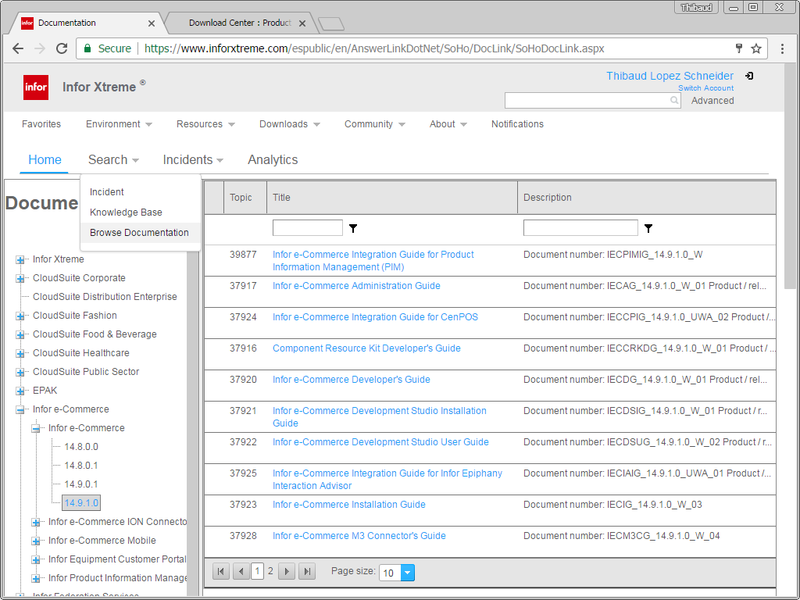 Most OCI implementations have customized tweaks, deviating from the standard, so I have to find the source code for OCI in e-Commerce, and see if I can modify it accordingly. 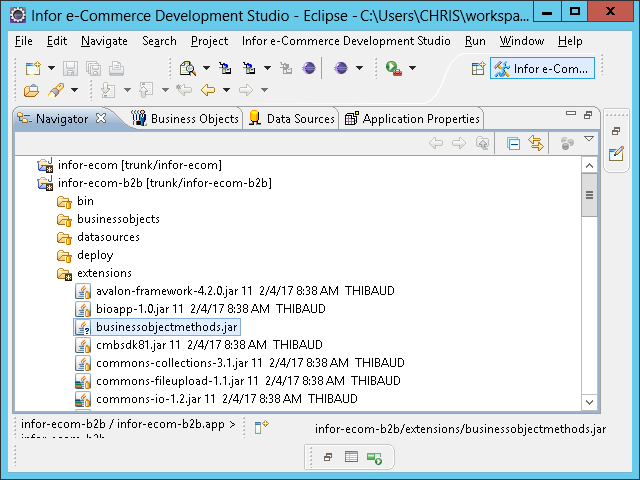 That was my first test of OCI in Infor e-Commerce for a buyer to PunchOut to a seller. 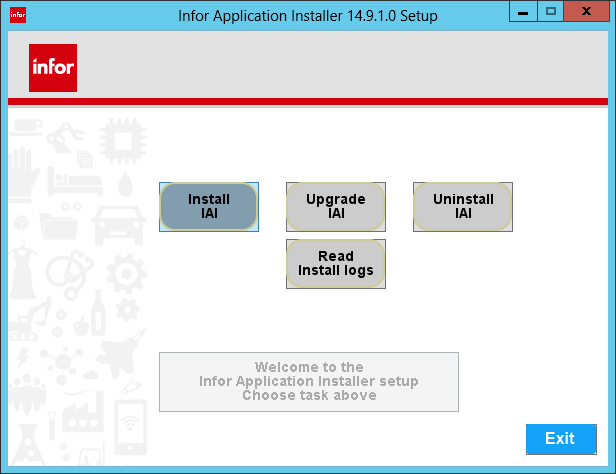 Special thanks to Wayne Liu and Karl Bonne at Infor for the help. 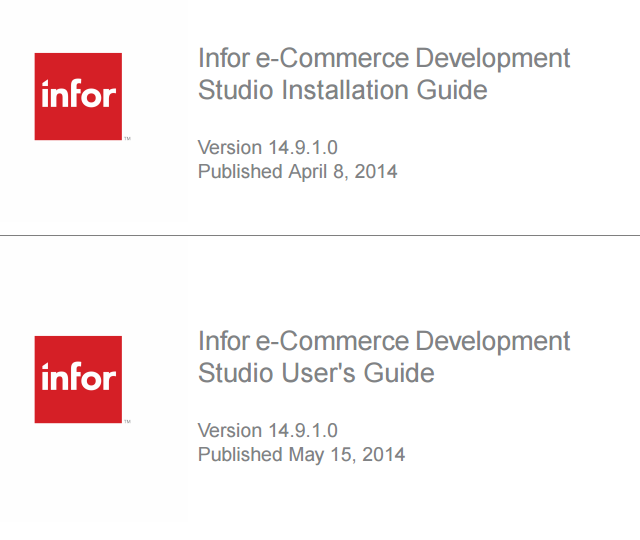 Here is an illustrated guide on how to install Infor e-Commerce Development Studio. 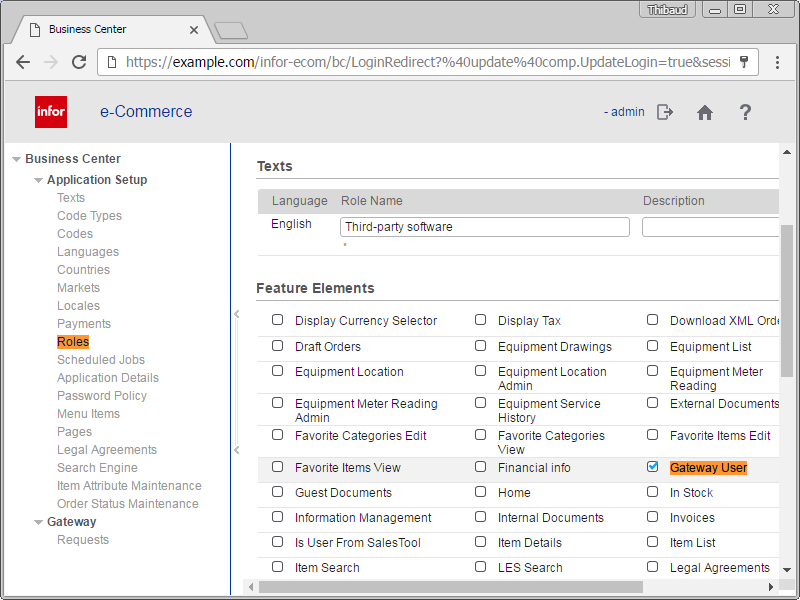 Infor e-Commerce is the B2C and B2B solution for Infor M3. Here is some history I found from the archives. 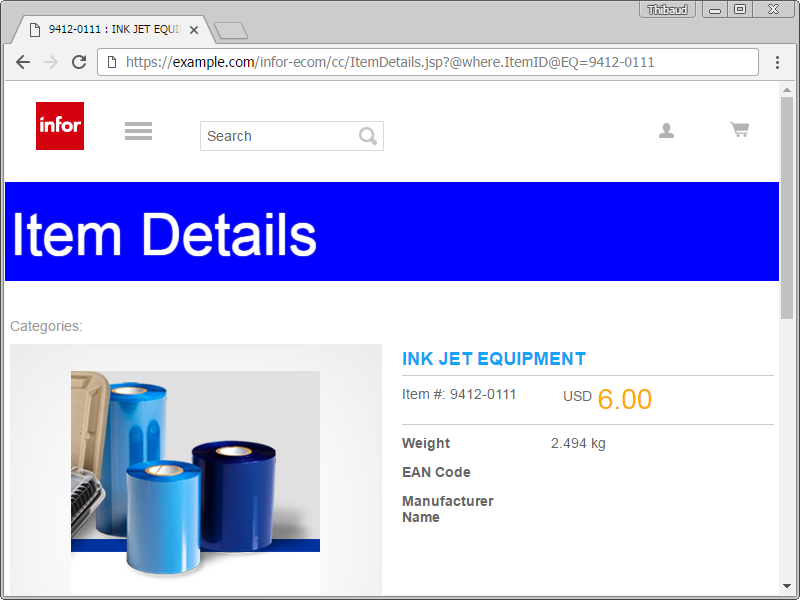 The product was started by Danish-based Catalog-International in 1997, which was acquired by Swedish-based Intentia International in 2002, which was acquired by US-based Lawson Software in 2005, which was acquired by Infor in 2011. 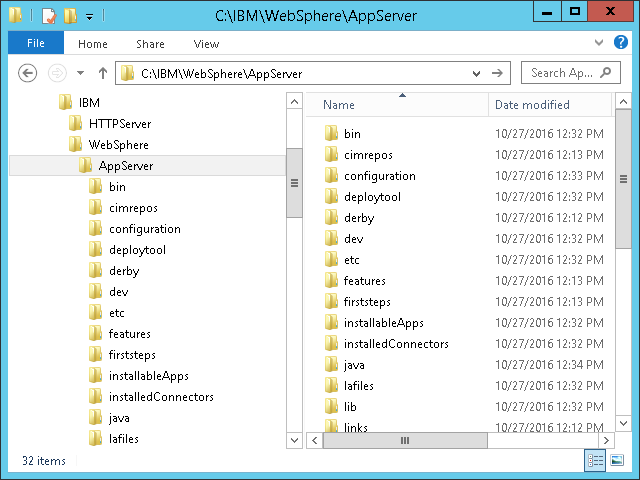 Over the years, it has survived many cycles of re-branding, refactoring, re-integration, and feature changes. 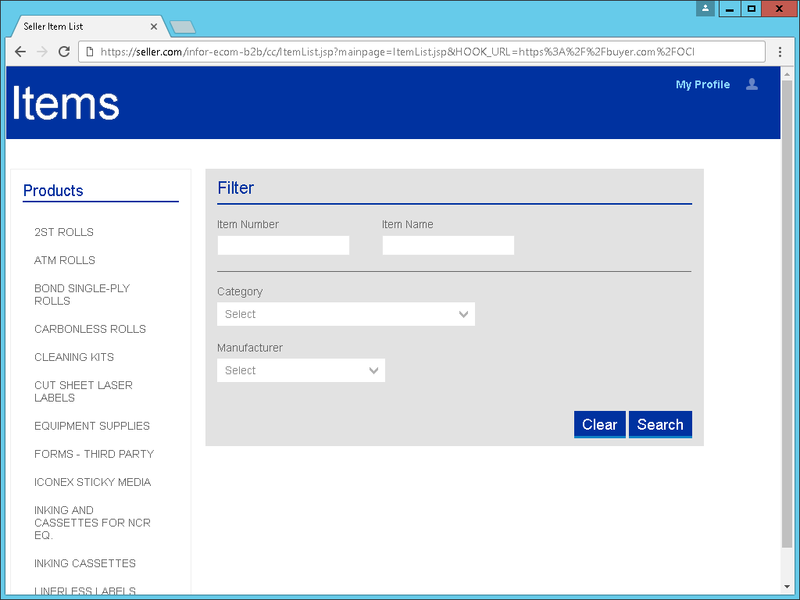 Its various names have been: Ideal Commerce Suite (Ideal Seller & Ideal Procurement), Movex e-Sales, Lawson e-Sales, Infor e-Commerce, and now Infor Rythm on Infor CloudSuite. 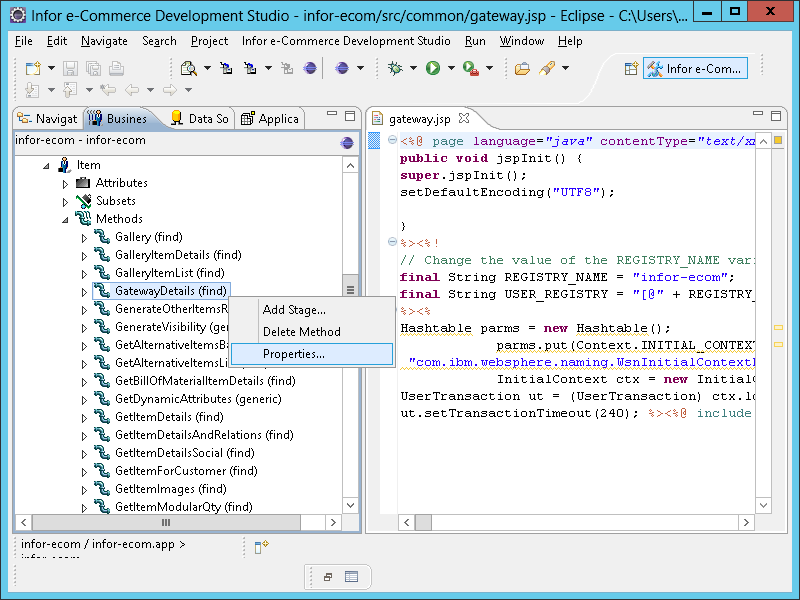 The Development Studio is the current plugin for Eclipse to develop for e-Commerce. It is loosely inherited from the old Cat@log Builder and ide@l Design Center. 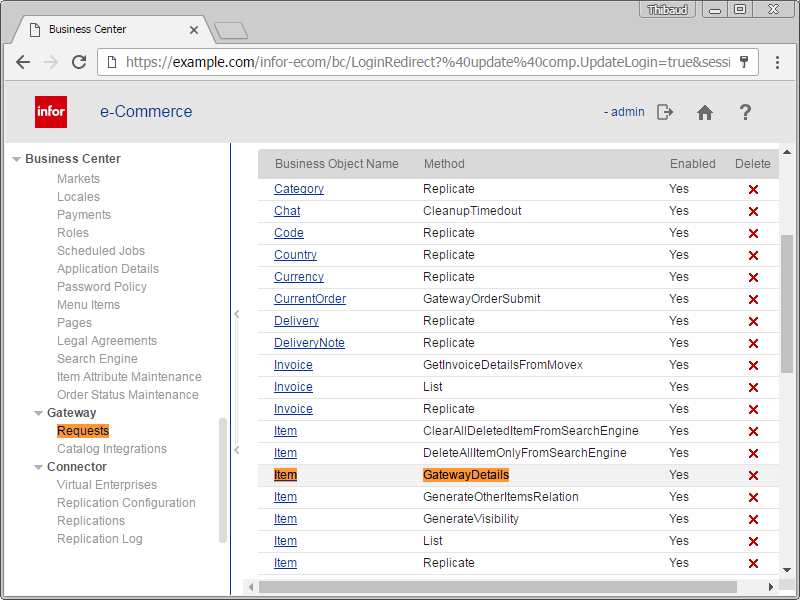 I will assume the Infor e-Commerce server is already installed and setup with the SQL Server database, IBM WebSphere Application Server (WAS), and IBM HTTP Server (IHS). 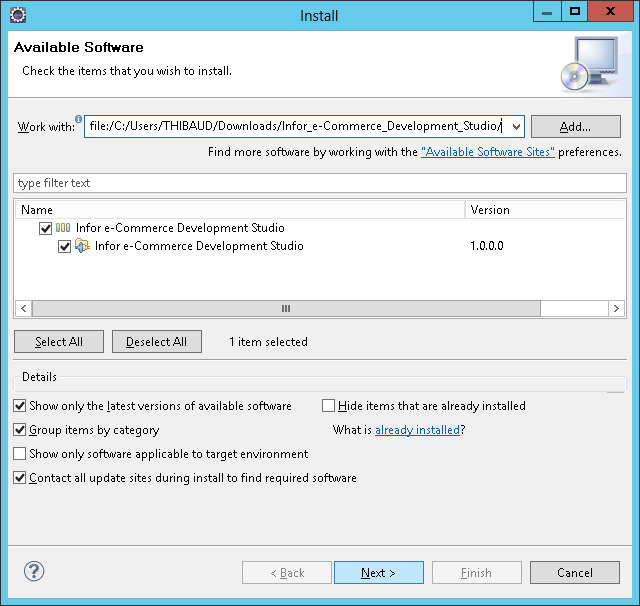 I will install e-Commerce Development Studio version 14.9.1.0 on a Windows x64. 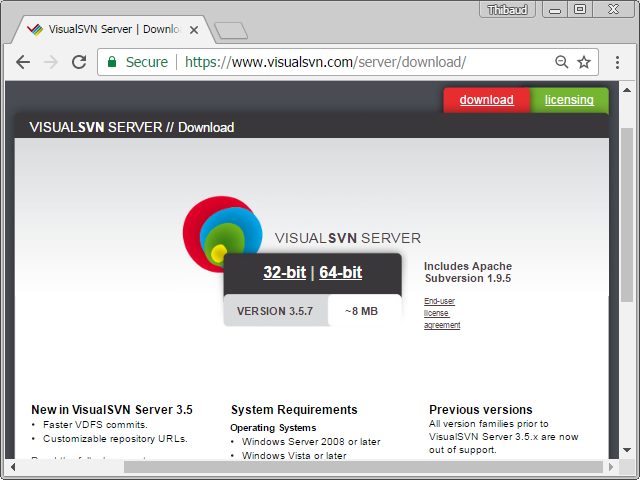 There are strict system requirements for ancient versions of software. 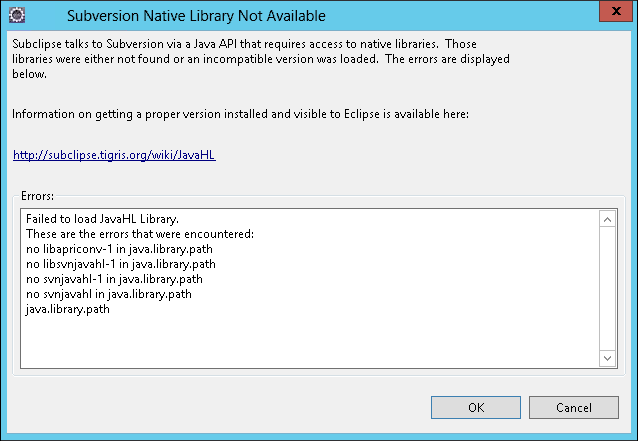 Subclipse talks to Subversion via a Java API that requires access to native libraries. 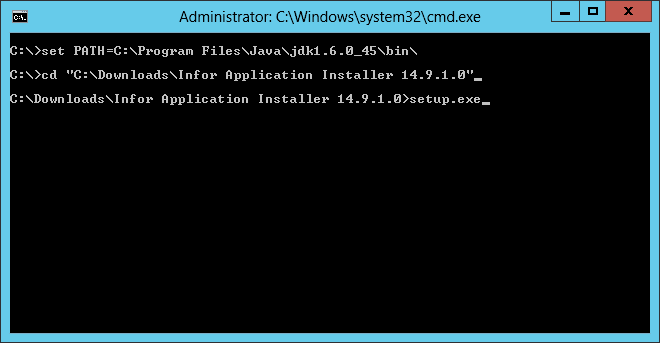 Those libraries were either not found or an incompatible version was loaded. 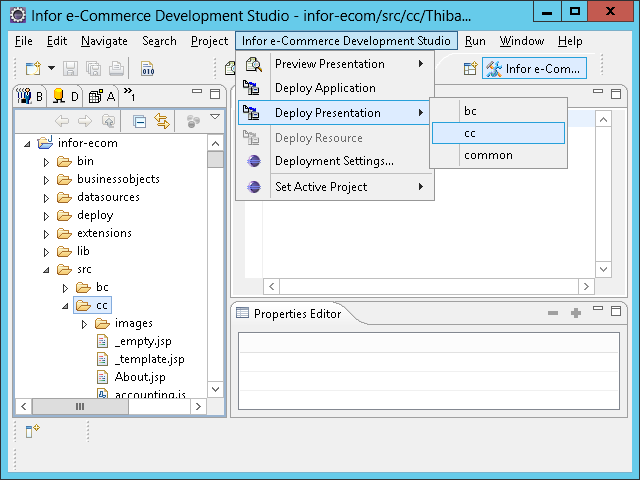 e-Commerce Development Studio is ready to be used. 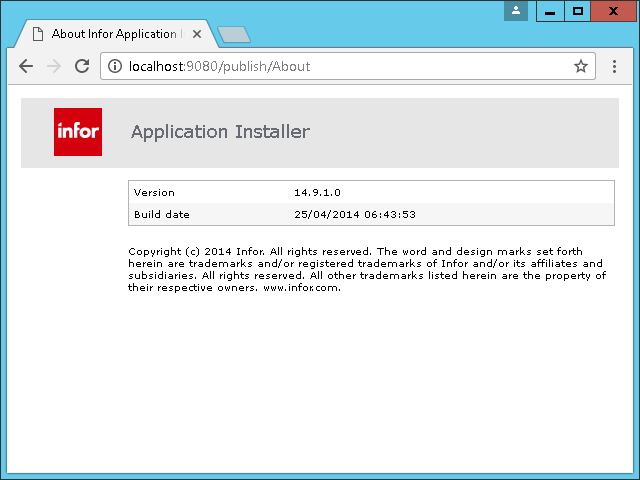 The Application Installer is now ready to deploy e-Commerce applications. 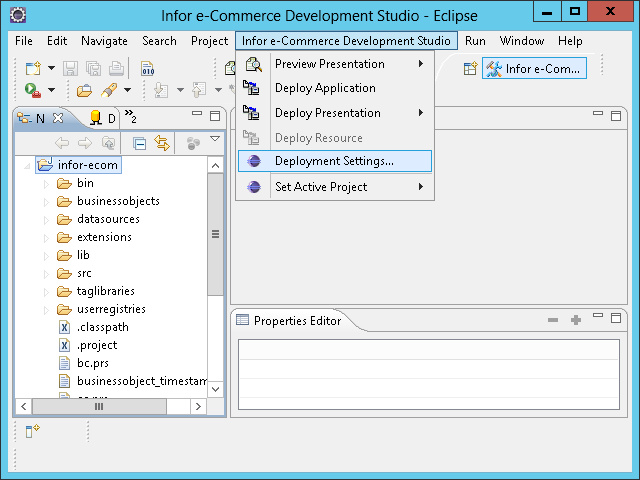 The e-Commerce application is now ready to be deployed. 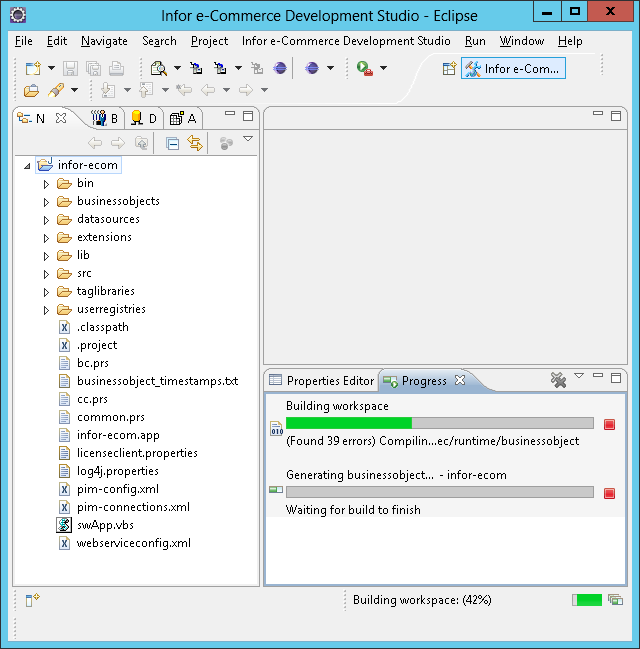 Build the Project, and wait for the build to finish. 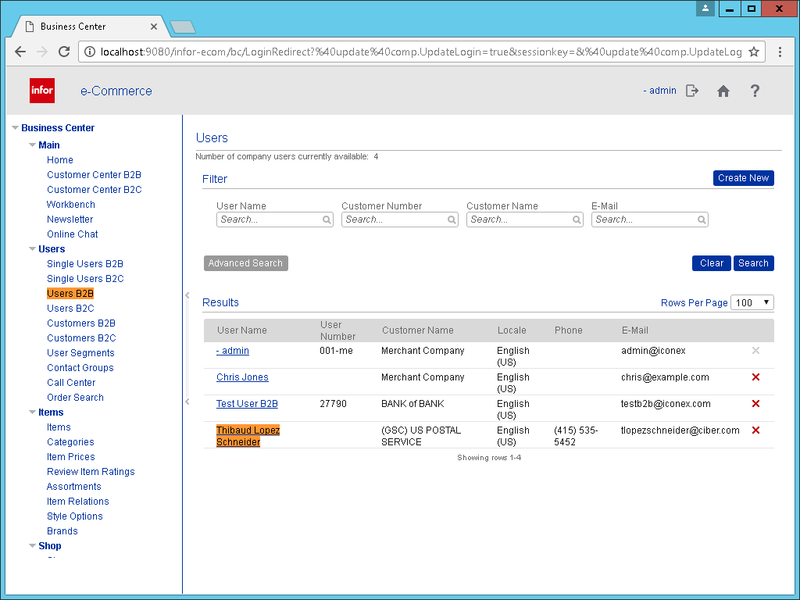 The e-Commerce application is now deployed on WAS, and ready to use. There is no need to restart WAS. 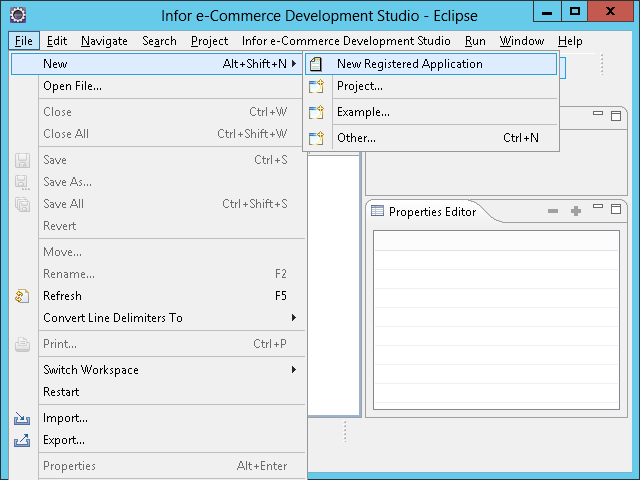 Test the resulting e-Commerce application. 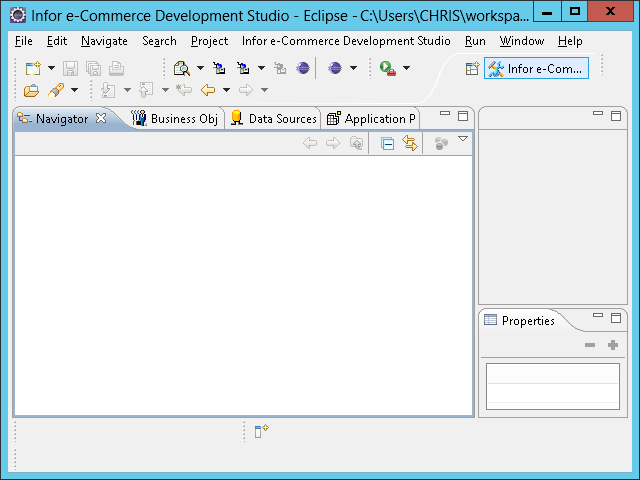 We now have a working e-Commerce Development Studio, project, and website to develop with. 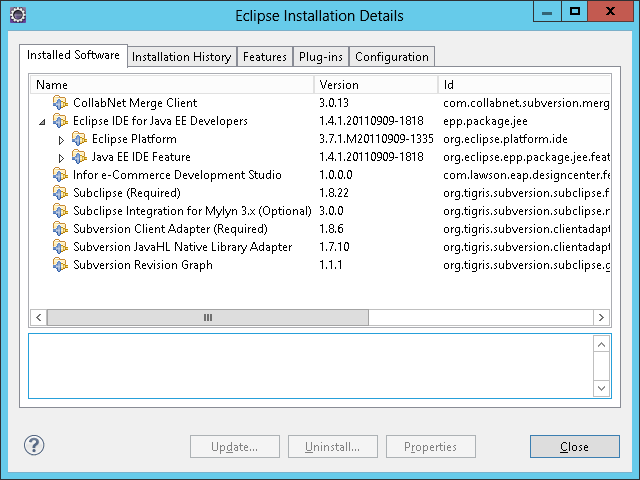 Remember to set the active project again after each time you exit Eclipse. 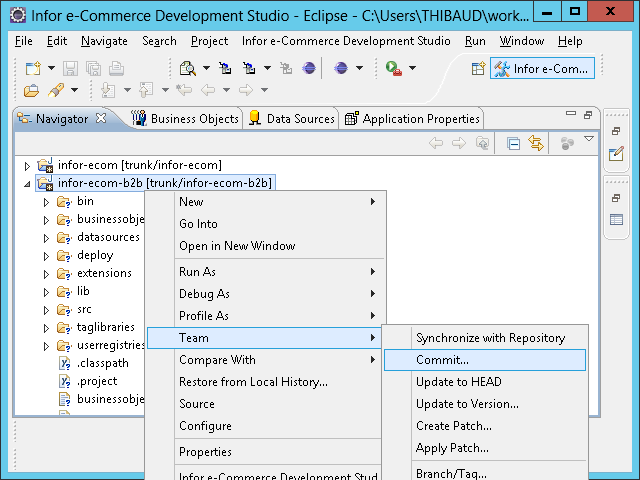 Setup a team environment with Subversion for multiple developers to collaborate on the same e-Commerce application at the same time without overriding each other. 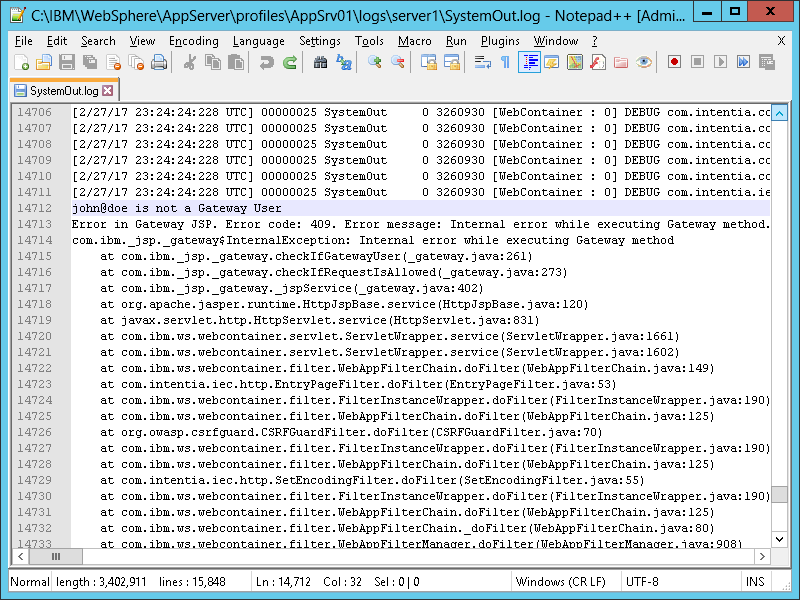 Setup logging, troubleshooting, and Java debugging for e-Commerce. 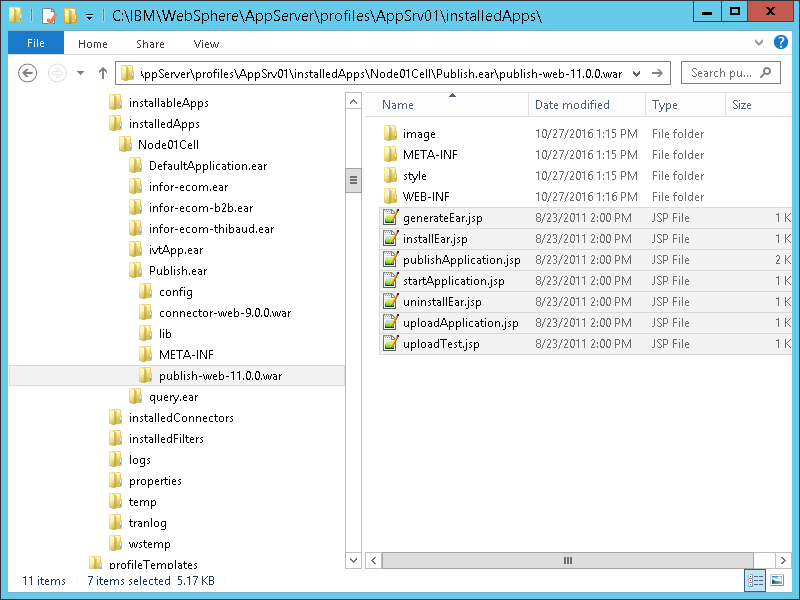 Deploy multiple applications on the same WAS. 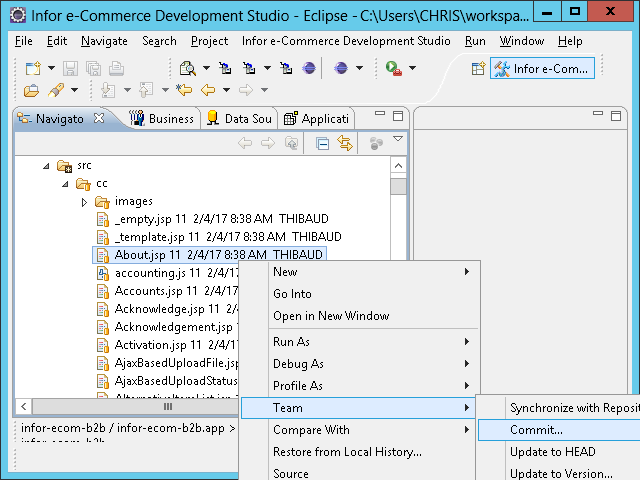 Develop JSP that call Business Objects. Use Git instead of Subversion. 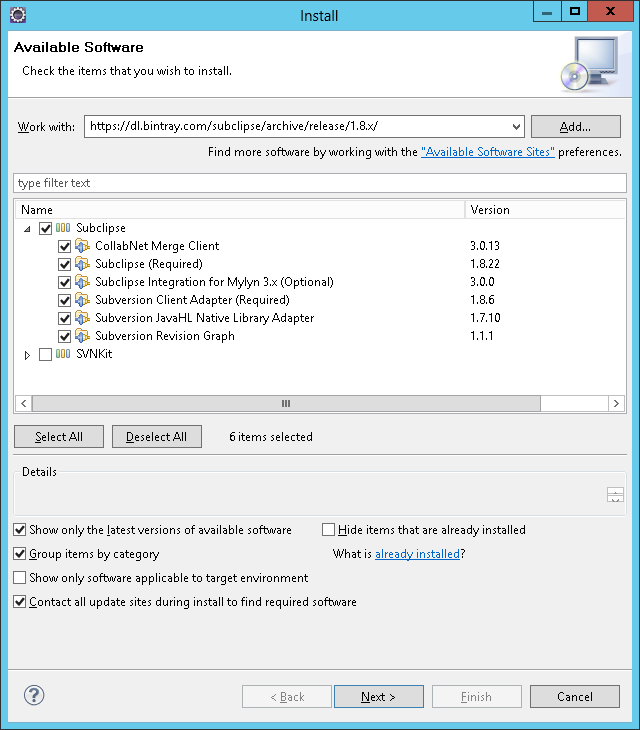 Set the Active Project by default. 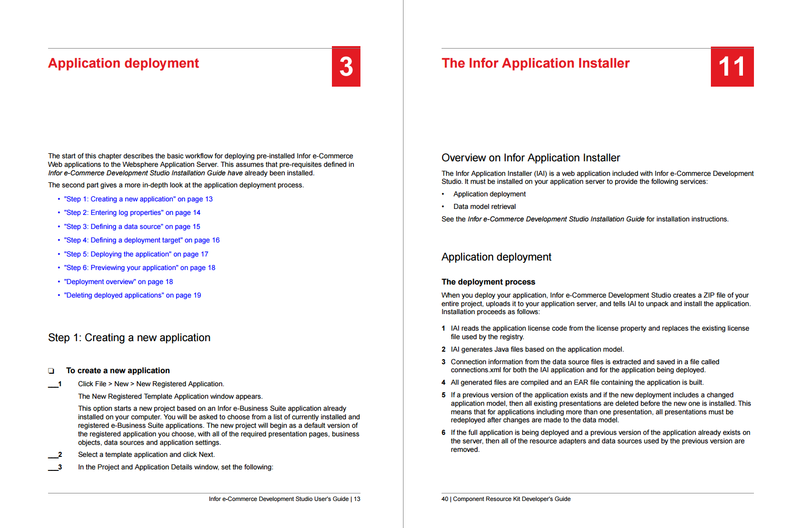 That was a guide on how to install Infor e-Commerce Development Studio, with lots of illustrations to compensate for the lack of screenshots from the Infor documentation. 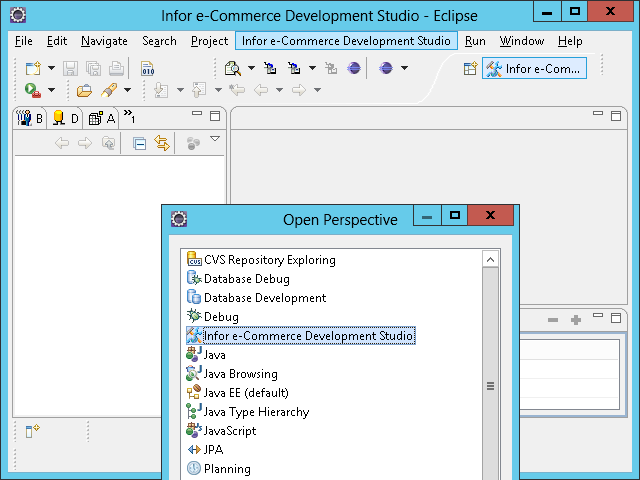 e-Commerce Development Studio relies on many standards (J2EE, Eclipse, Subversion, etc. 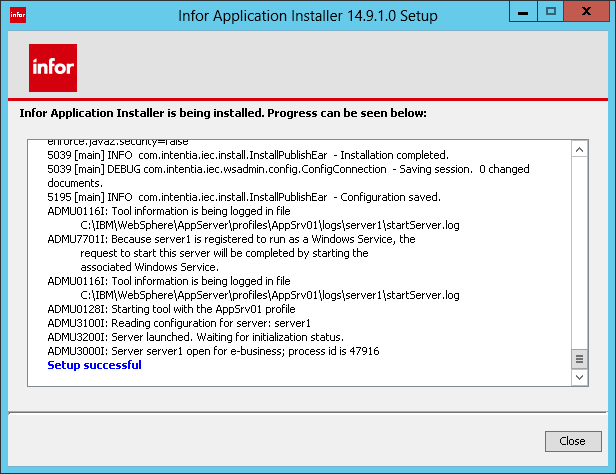 ), as such it is familiar territory to install. 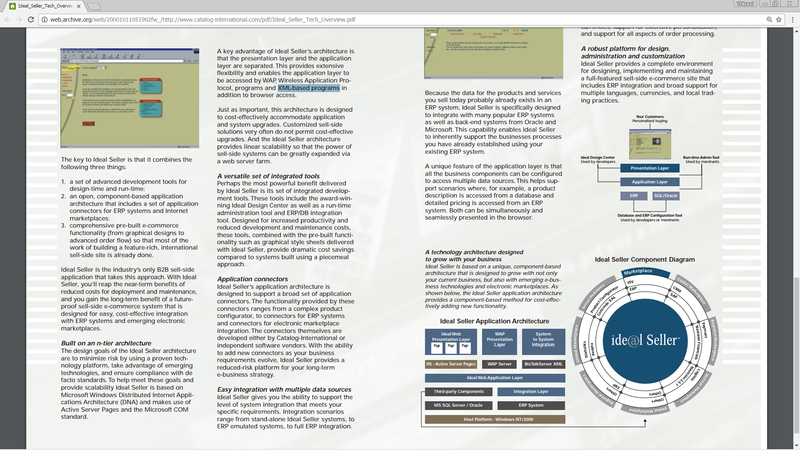 But it requires ancient versions of its software requirements that if not met will cause errors. 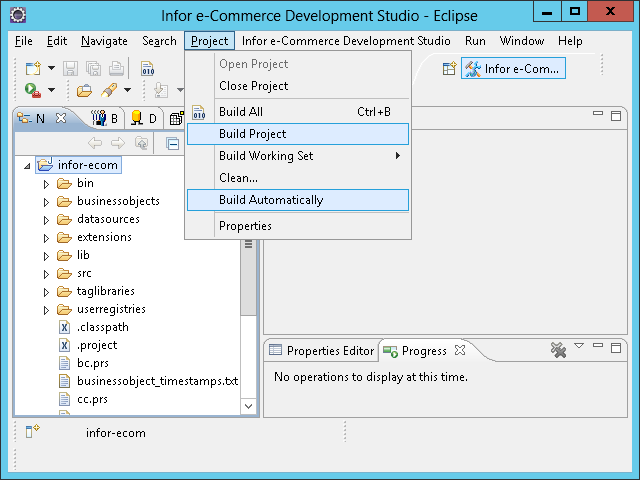 And the mystery of the e-Commerce Development Studio’s automatic build, at unexpected times, and lengthy, is a known frustration. Please like, comment, share, subscribe, and come author with us.